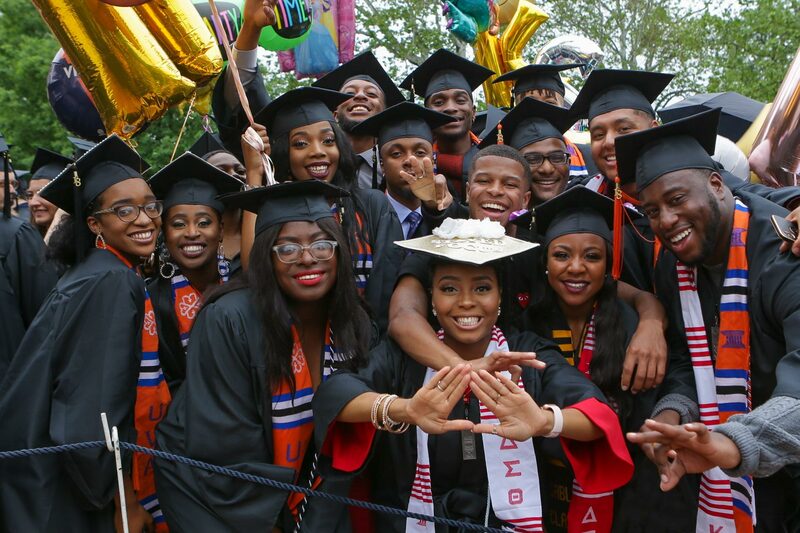 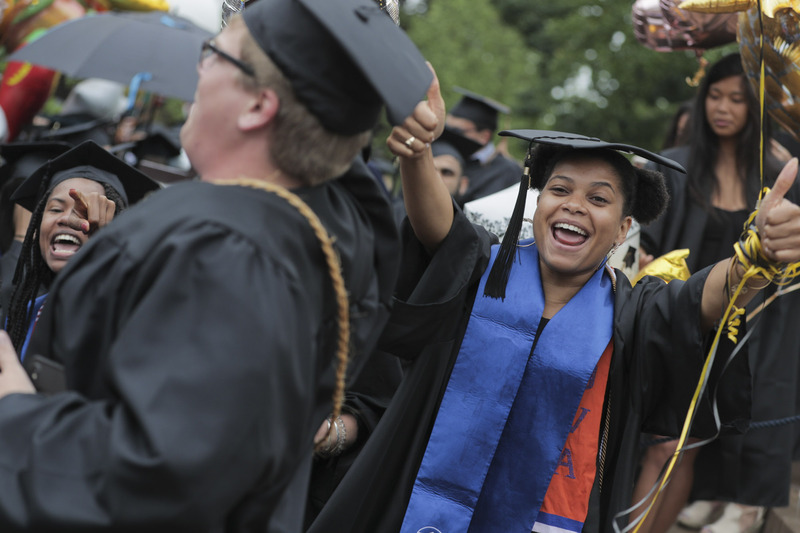 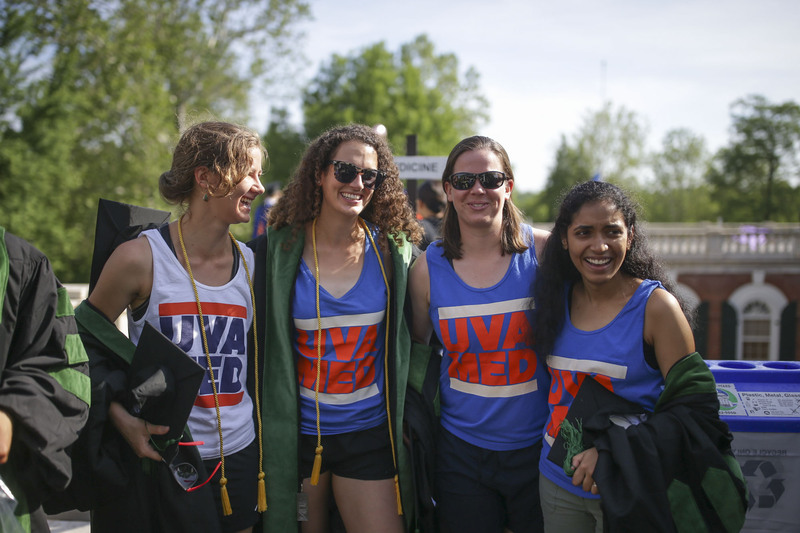 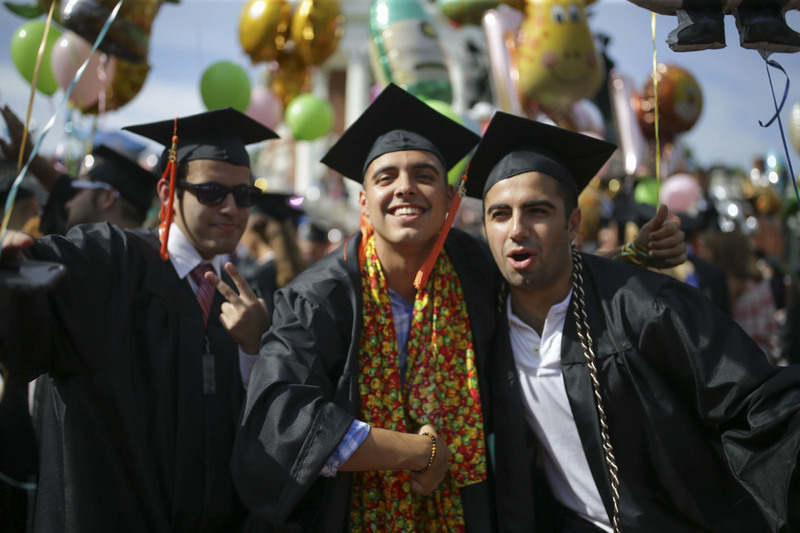 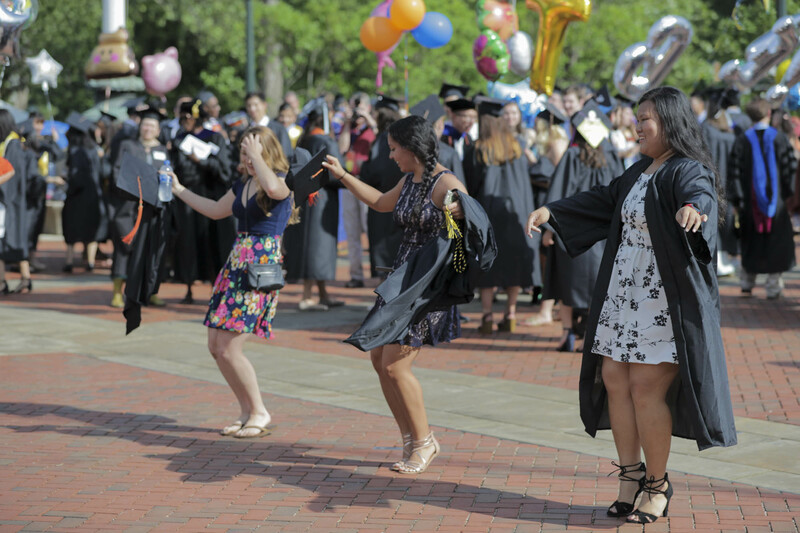 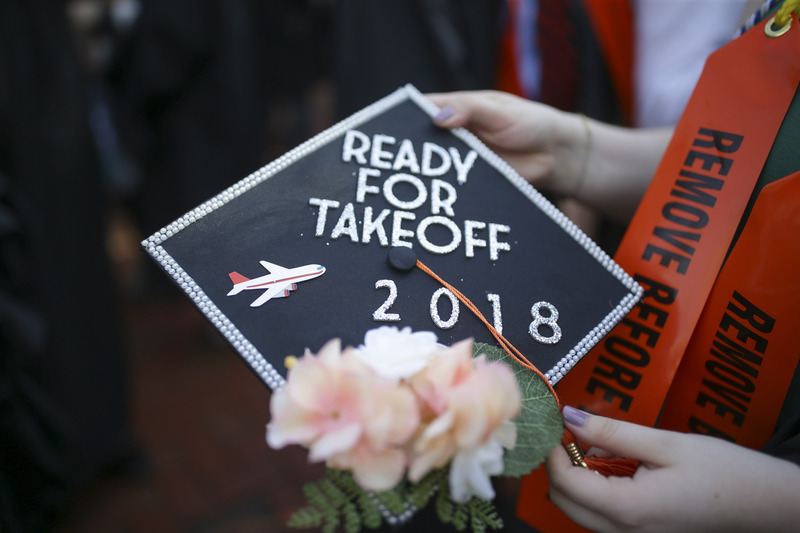 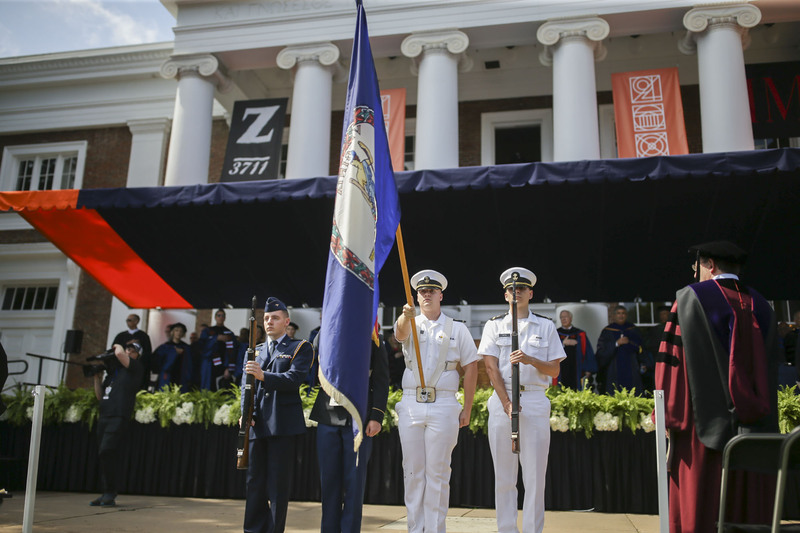 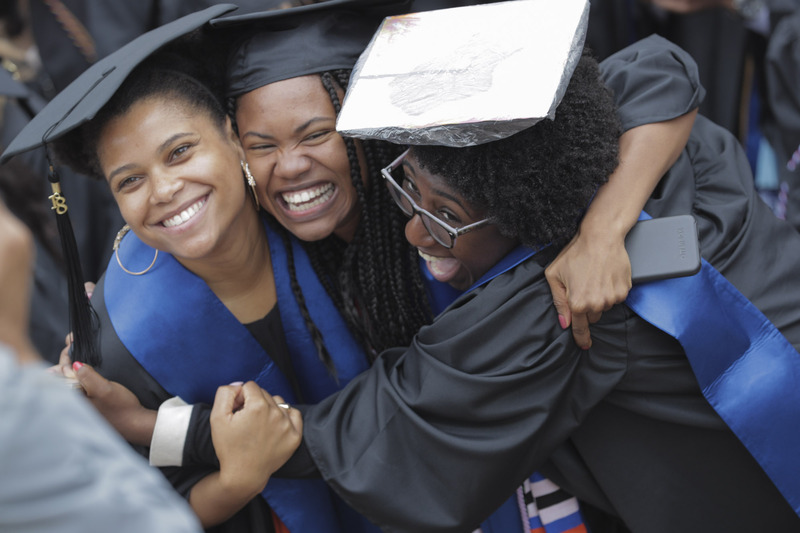 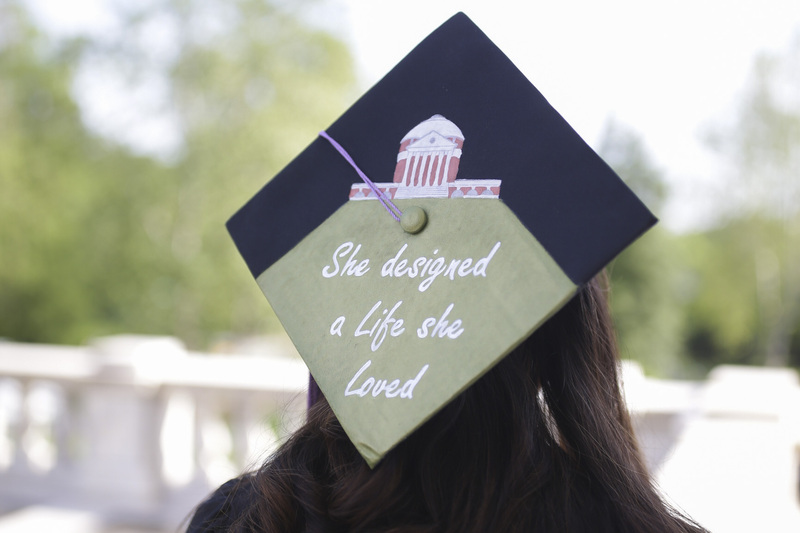 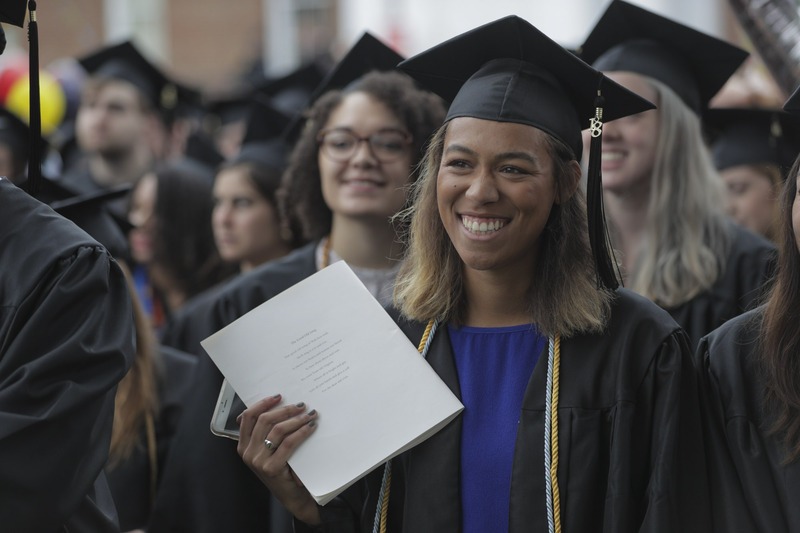 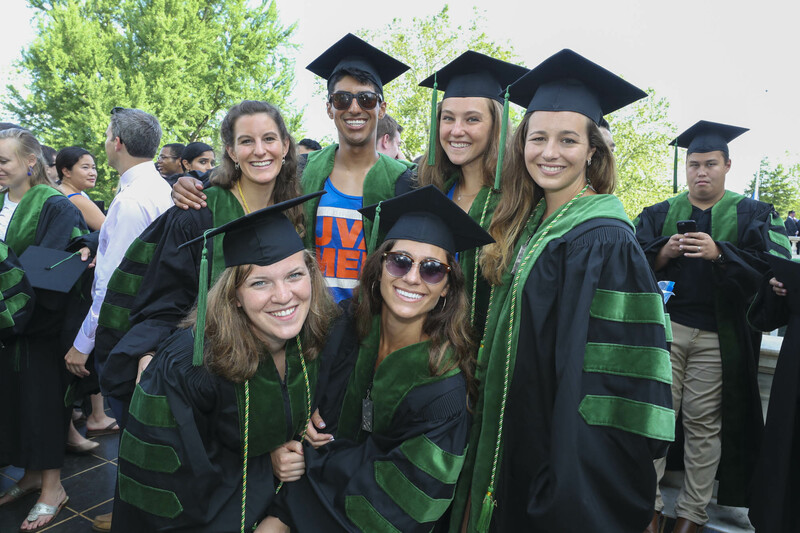 Over Final Exercises weekend, approximately 7,000 University of Virginia students earned degrees during UVA’s proudest tradition. 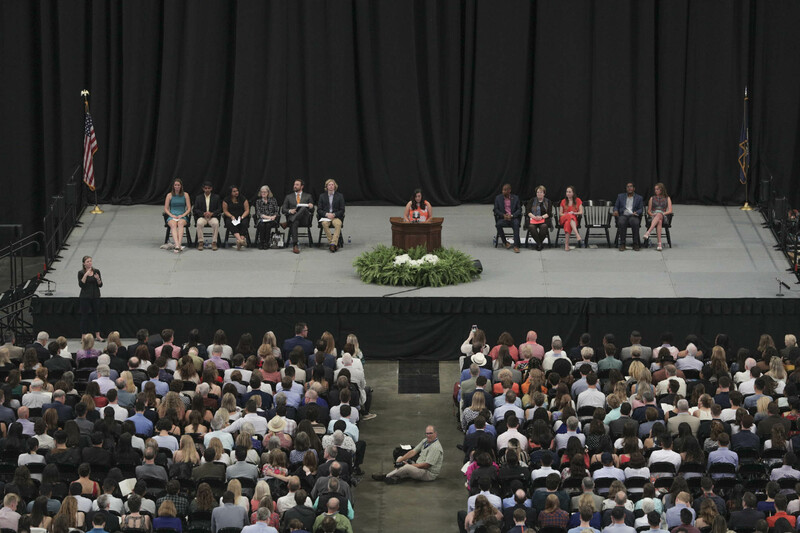 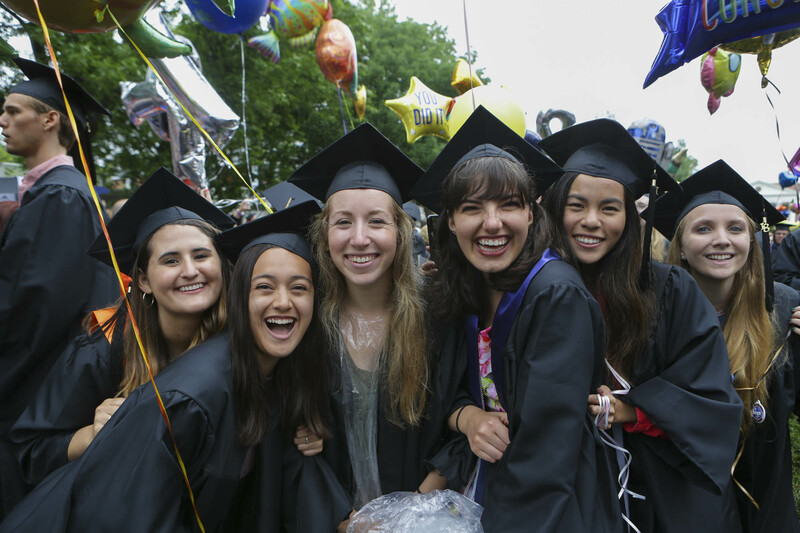 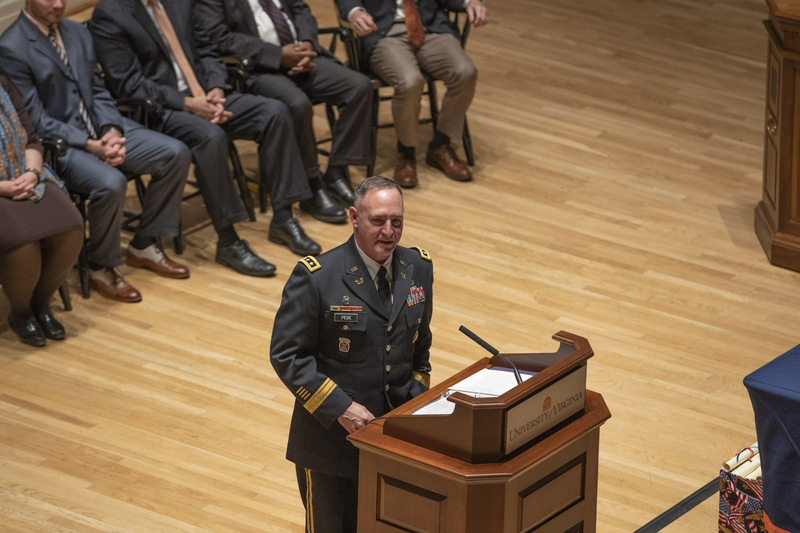 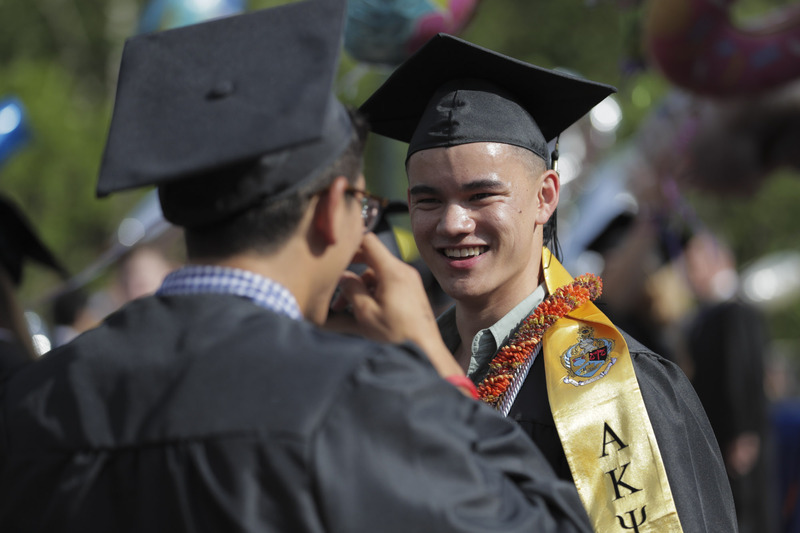 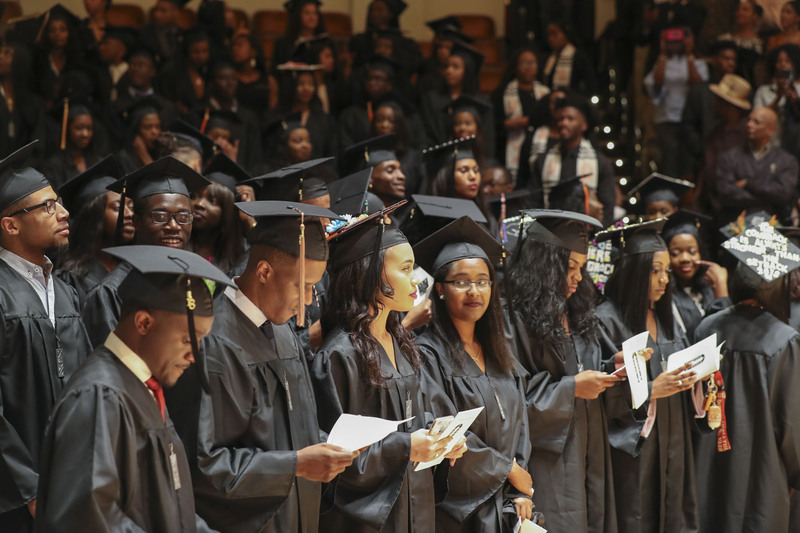 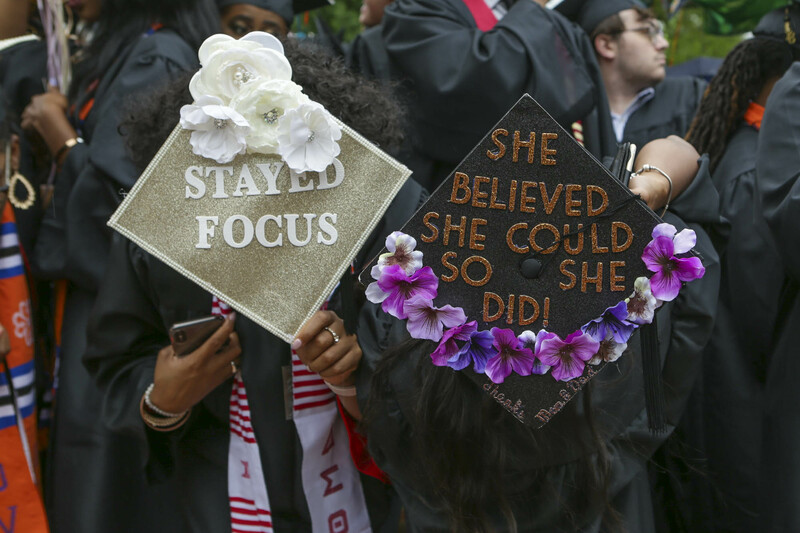 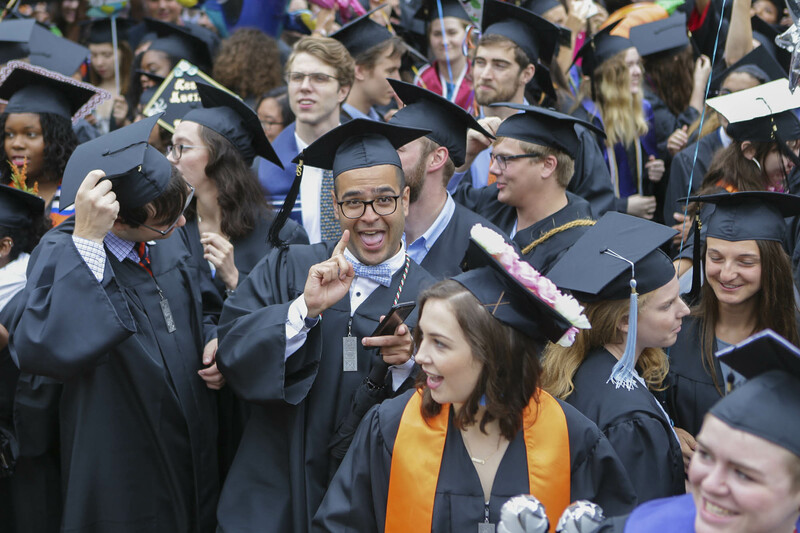 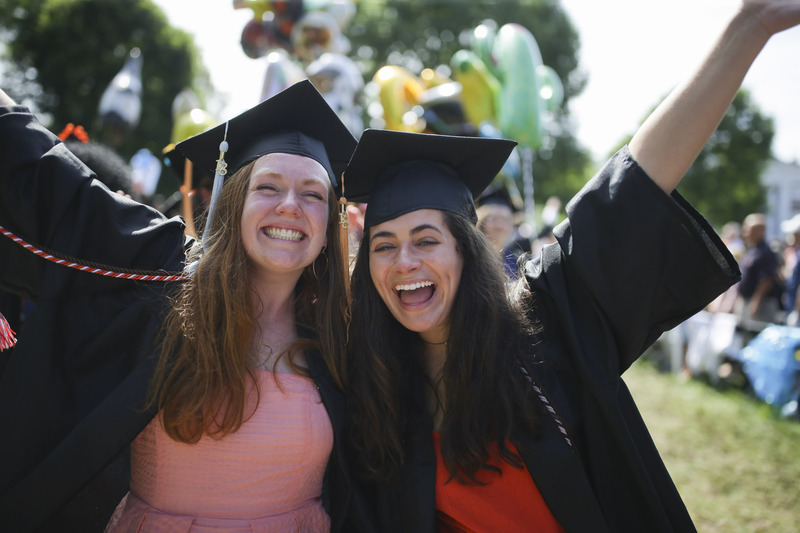 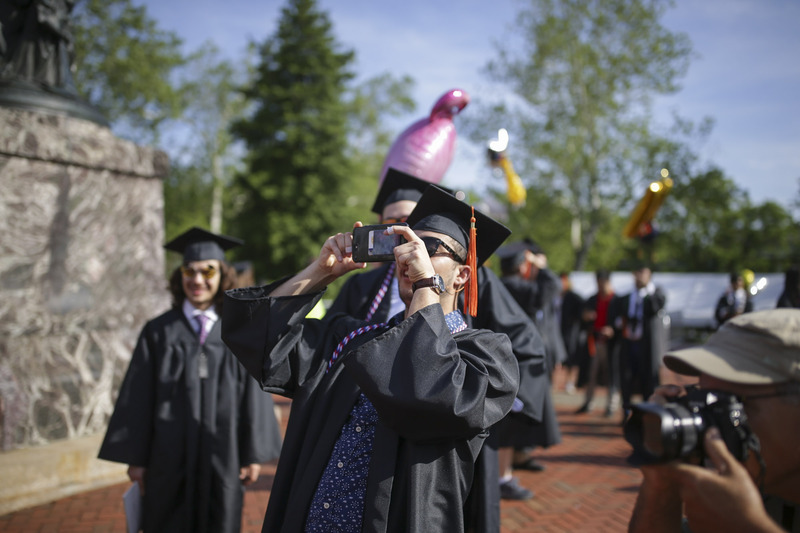 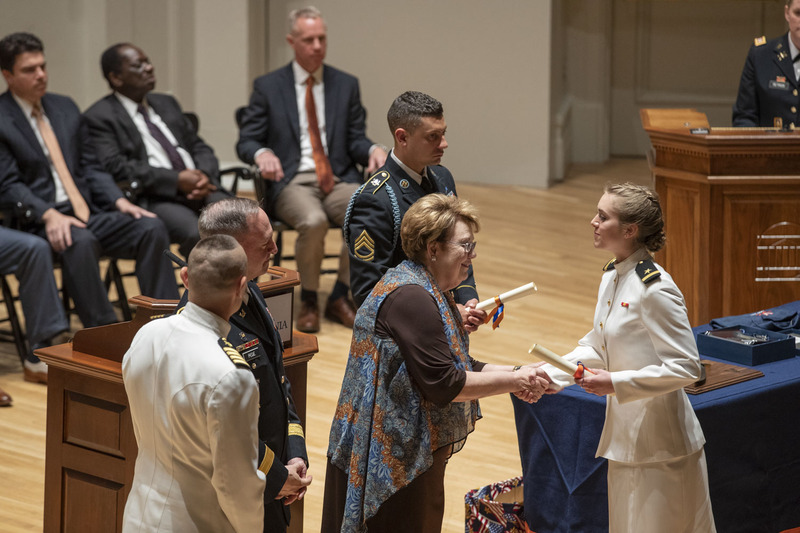 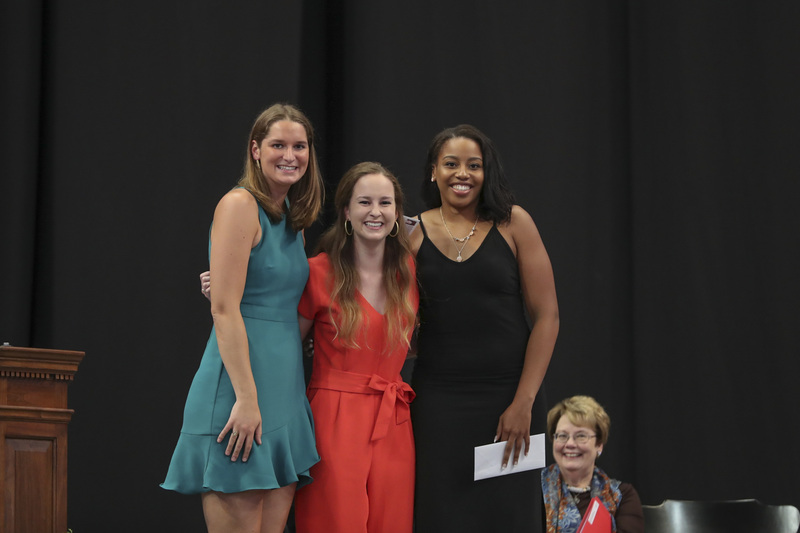 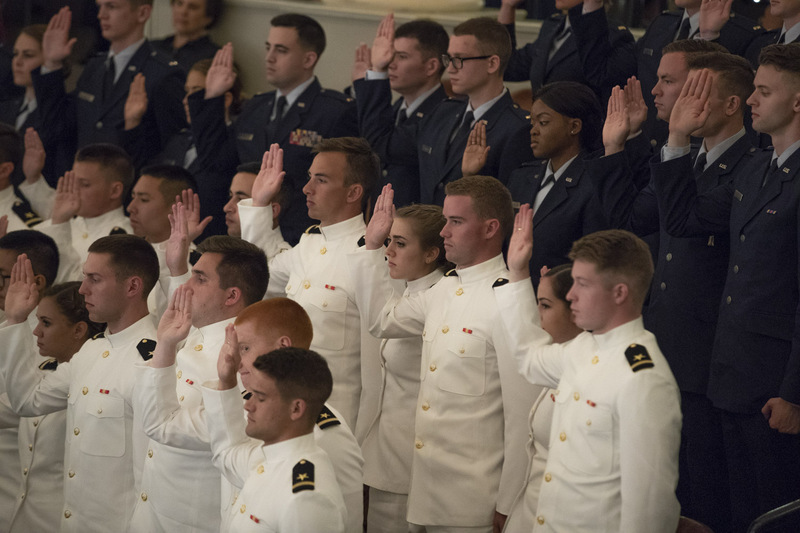 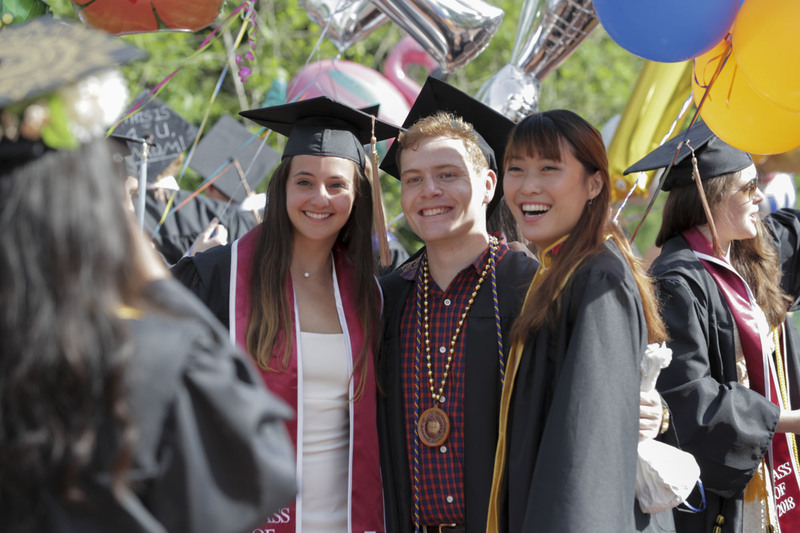 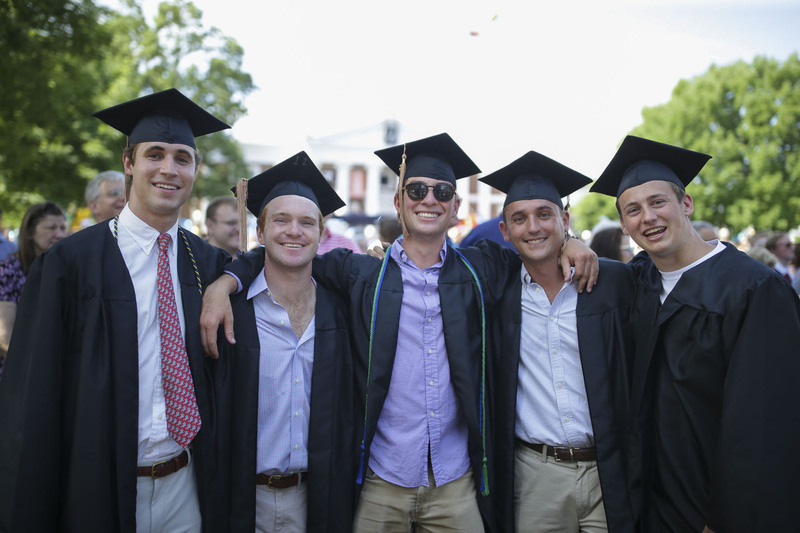 Here you can find coverage and photos from the weekend, video from Valediction and both days of Final Exercises, profiles of graduates, social media posts and much more. 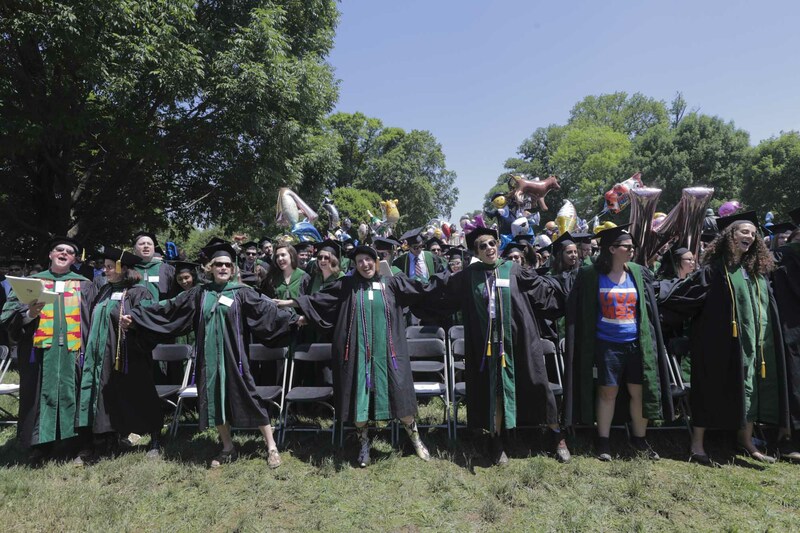 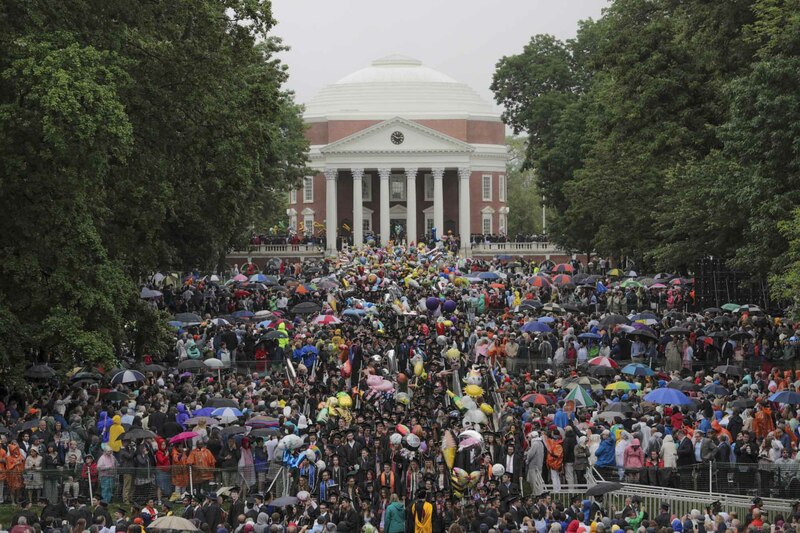 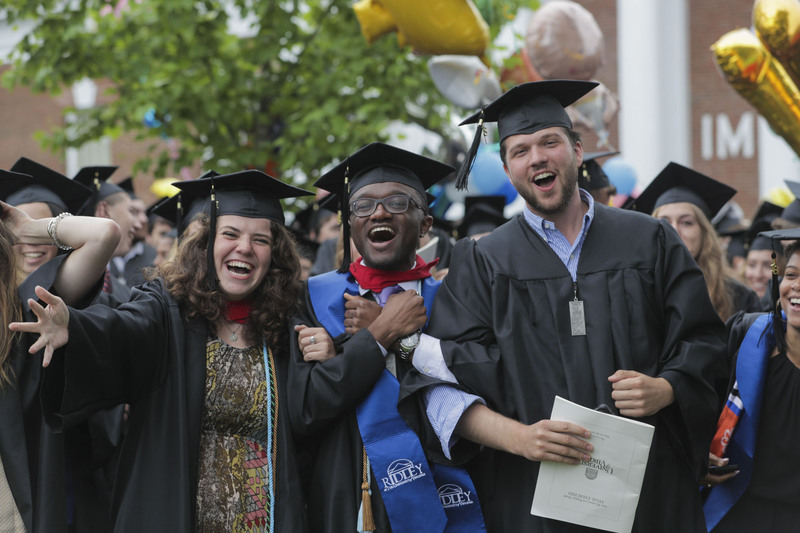 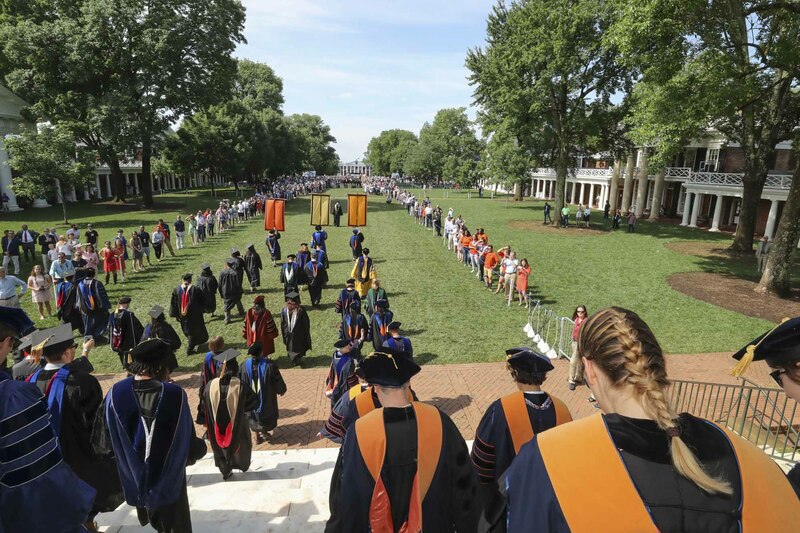 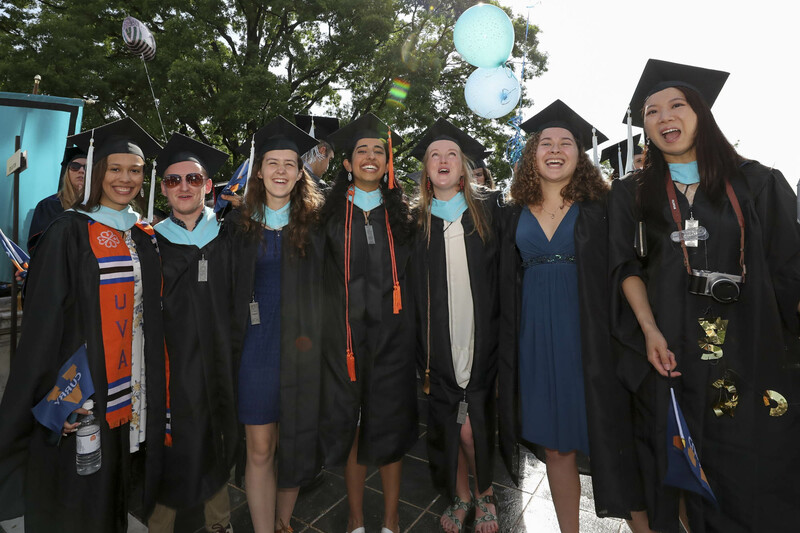 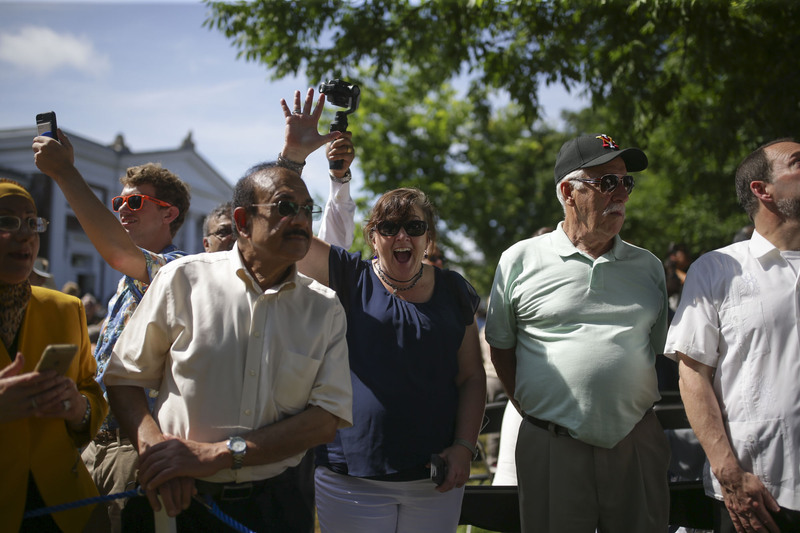 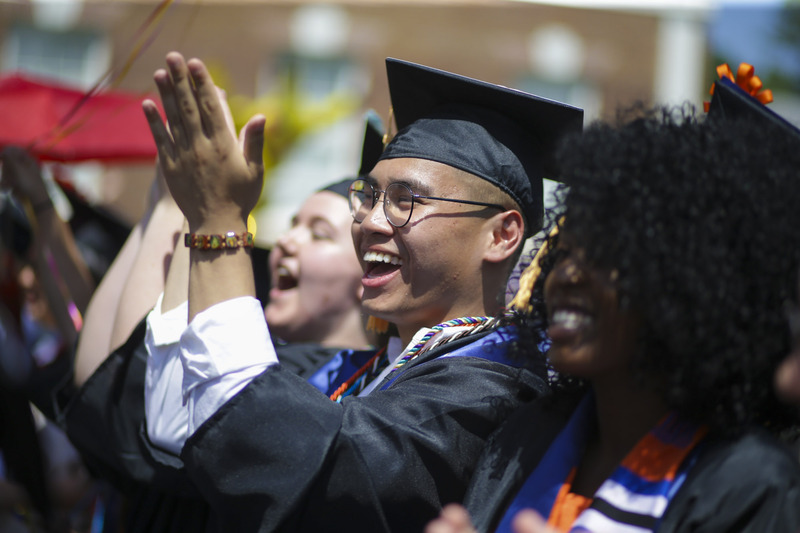 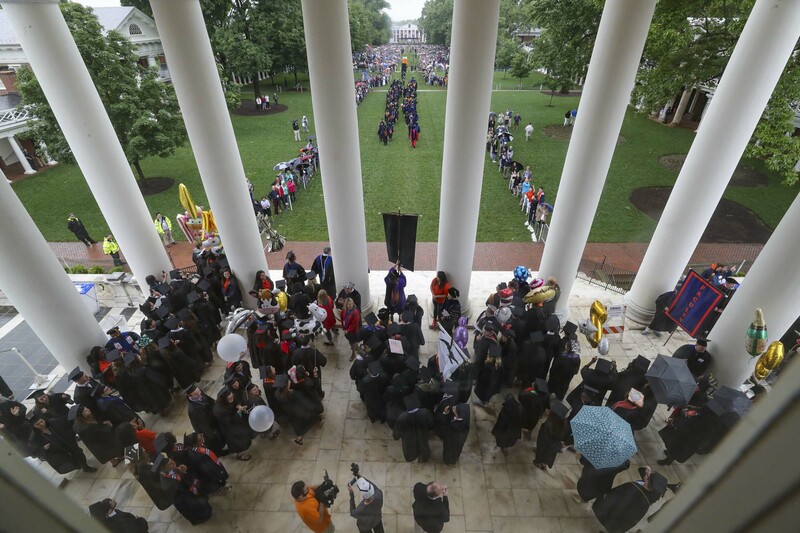 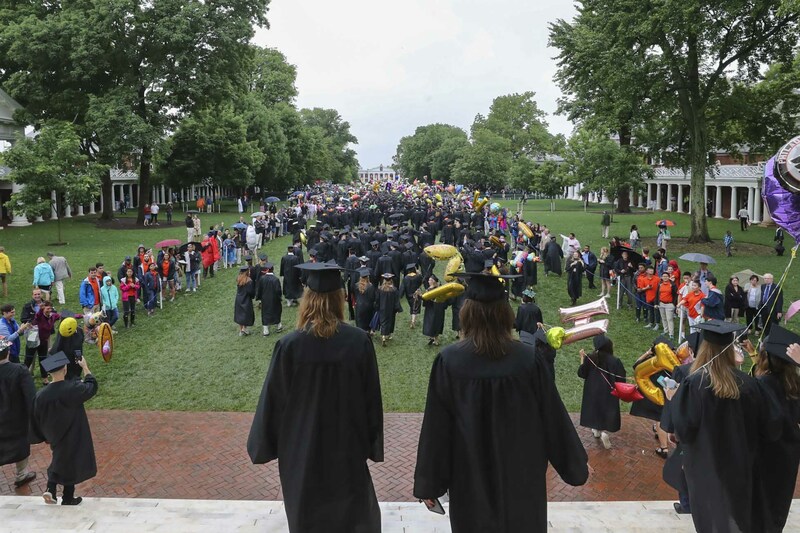 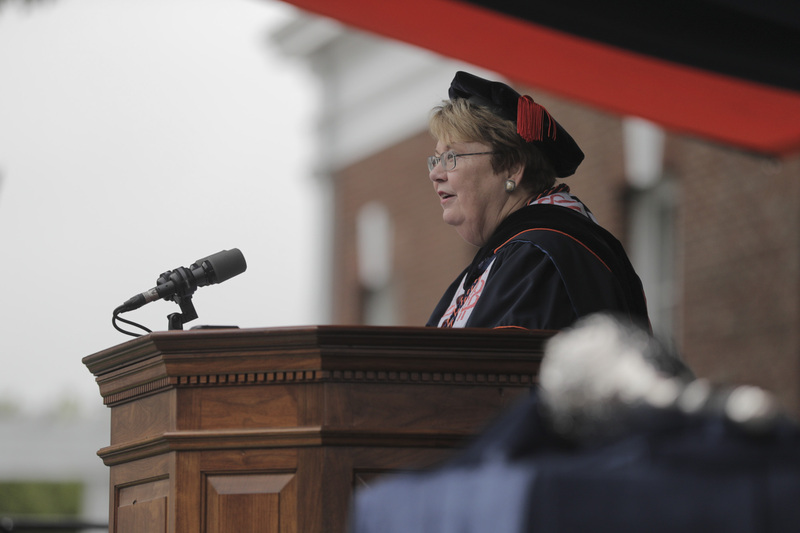 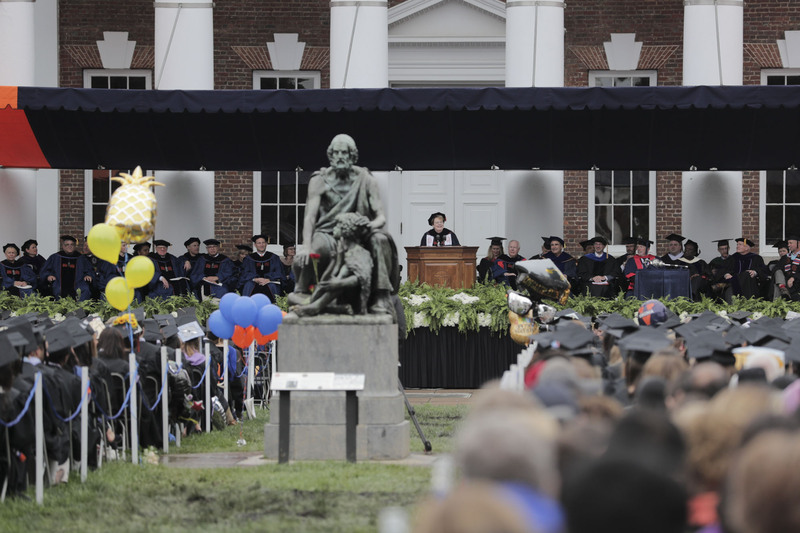 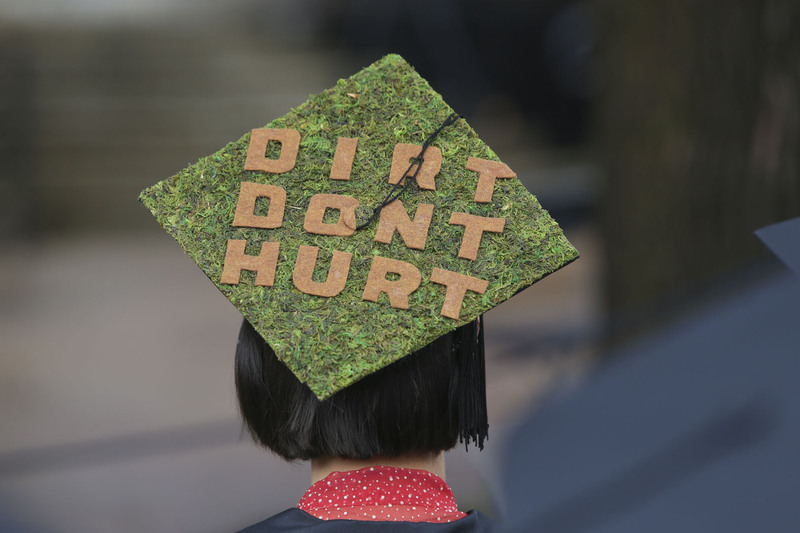 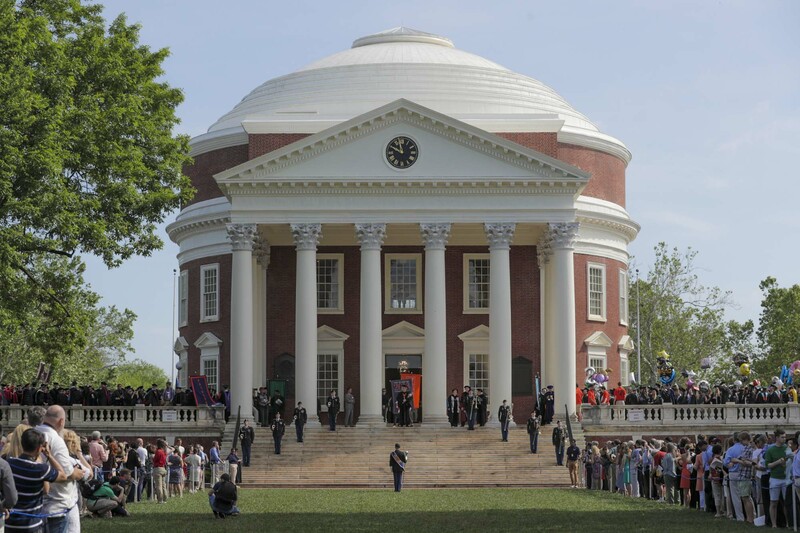 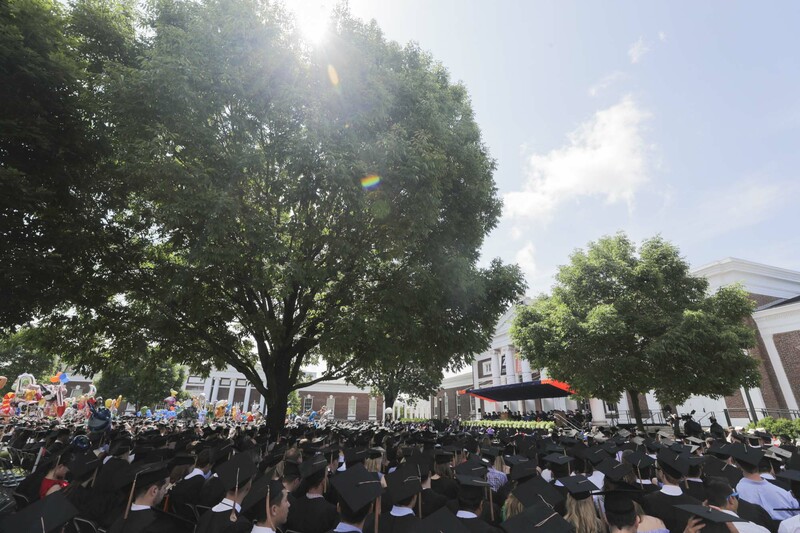 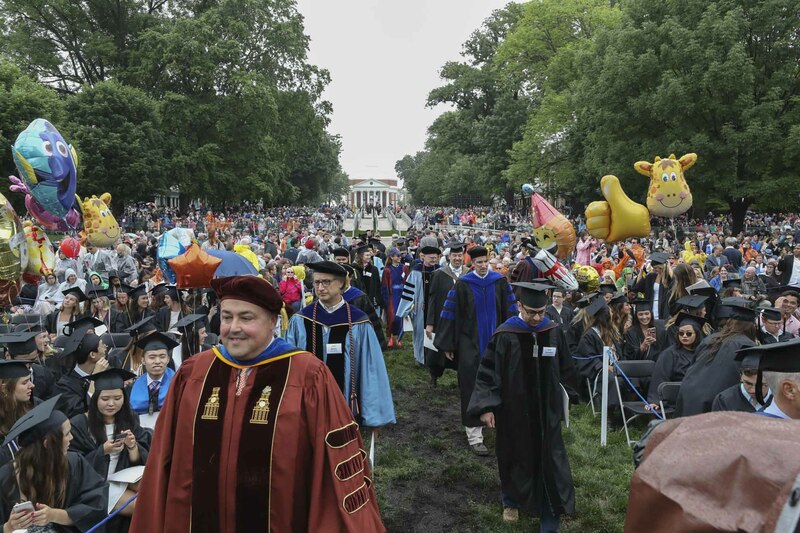 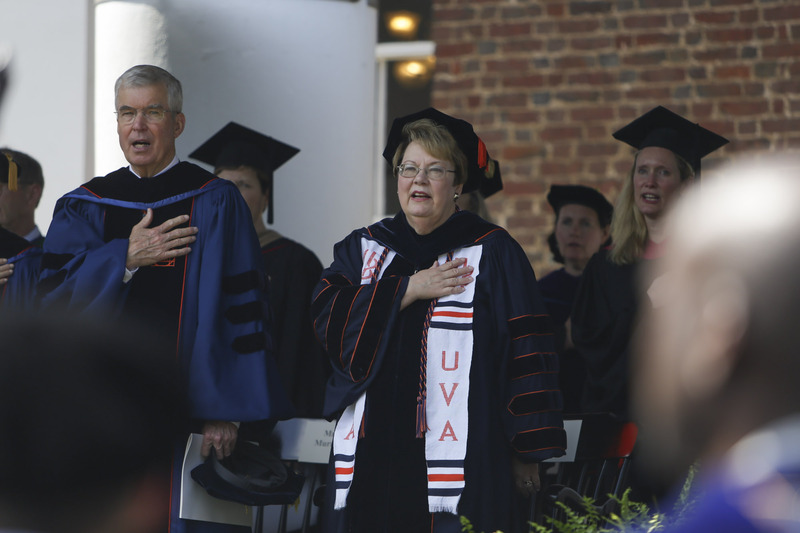 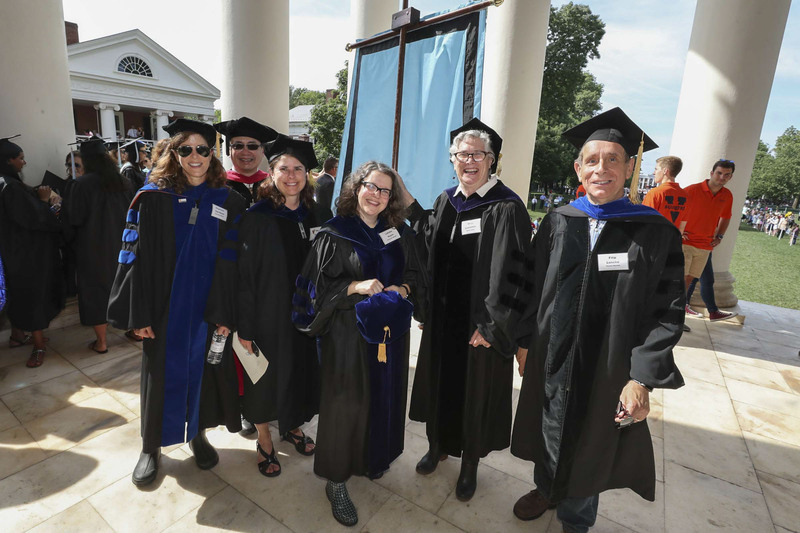 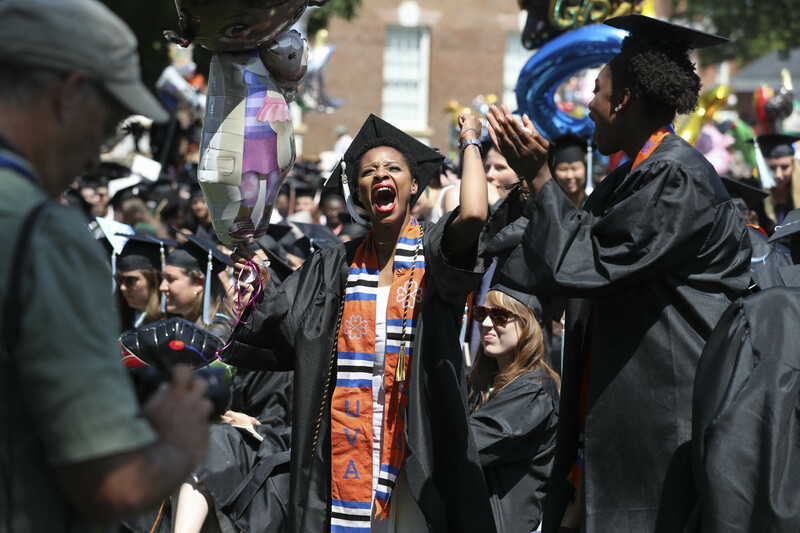 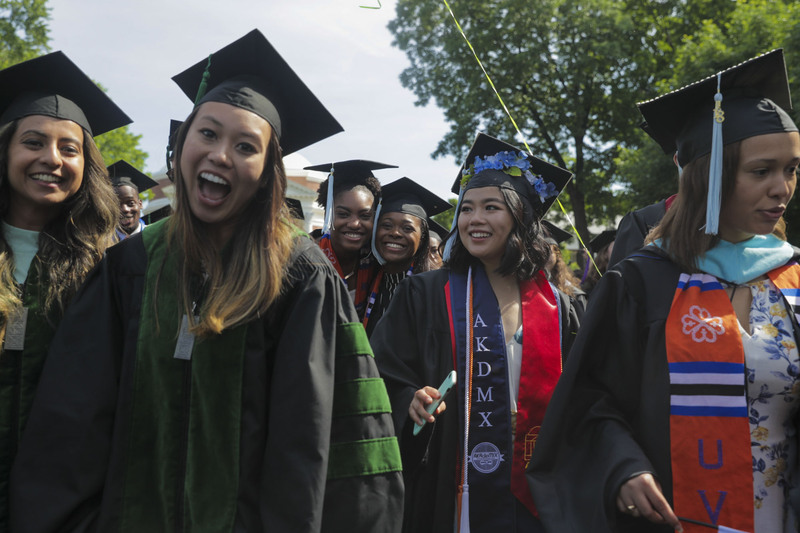 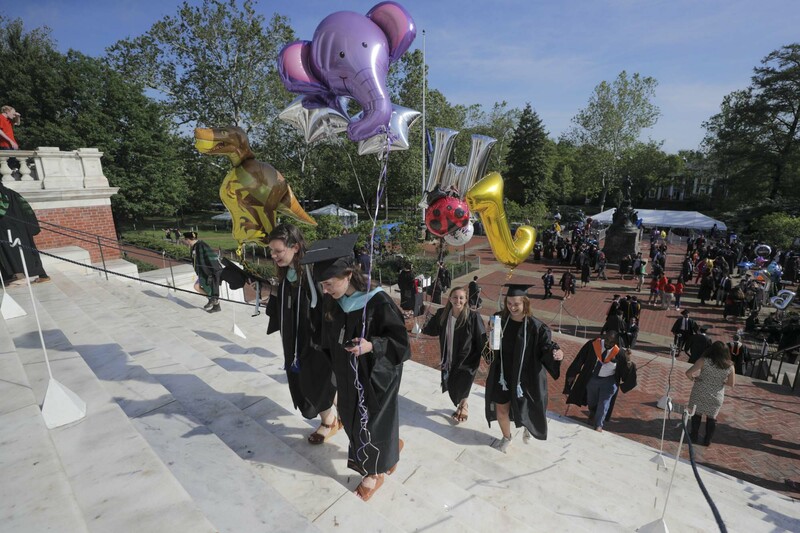 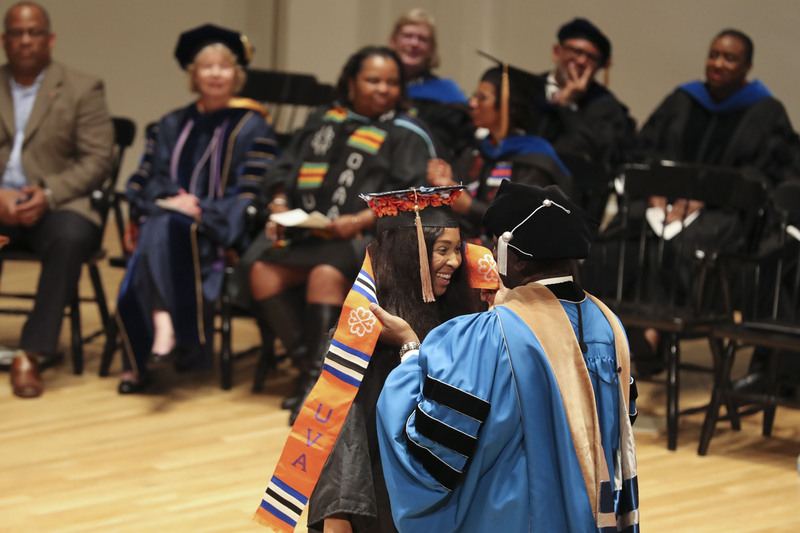 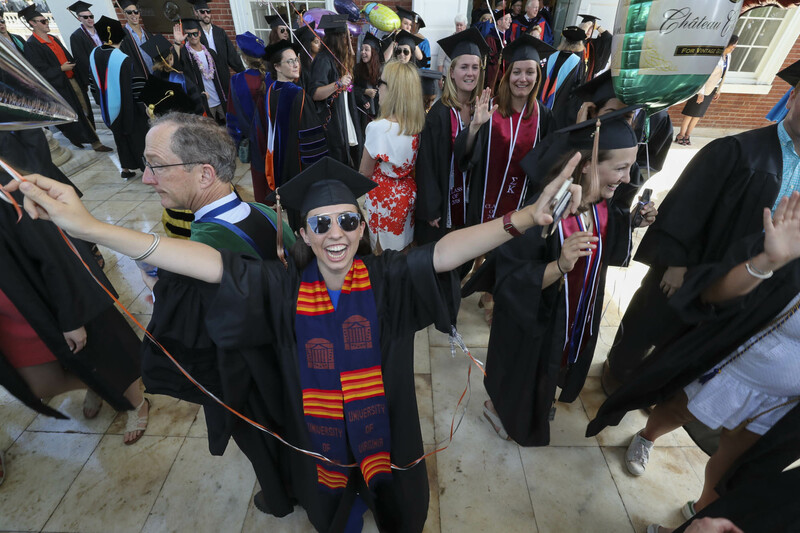 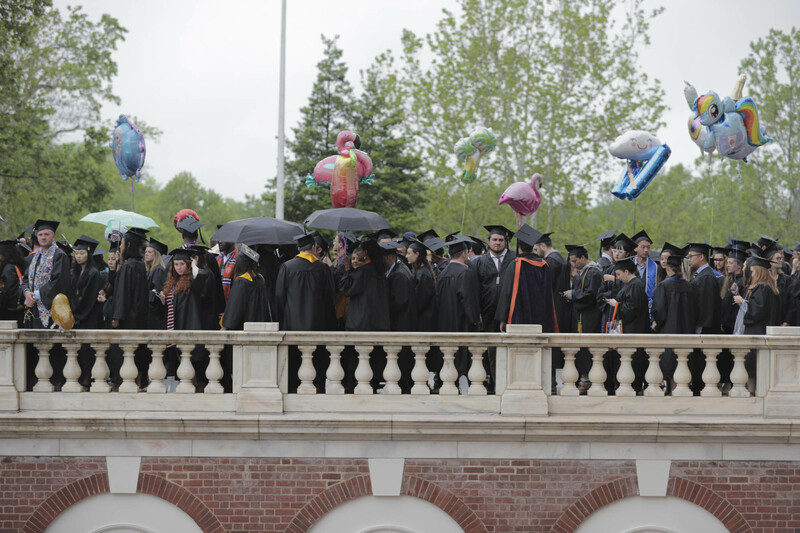 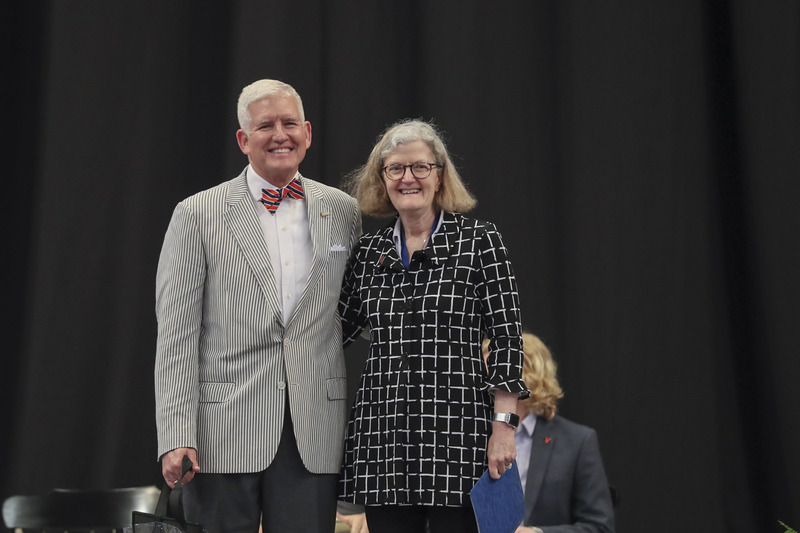 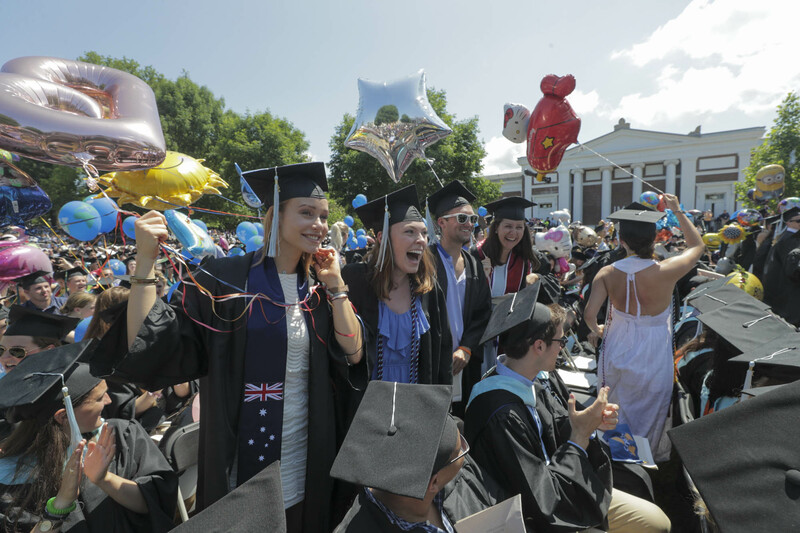 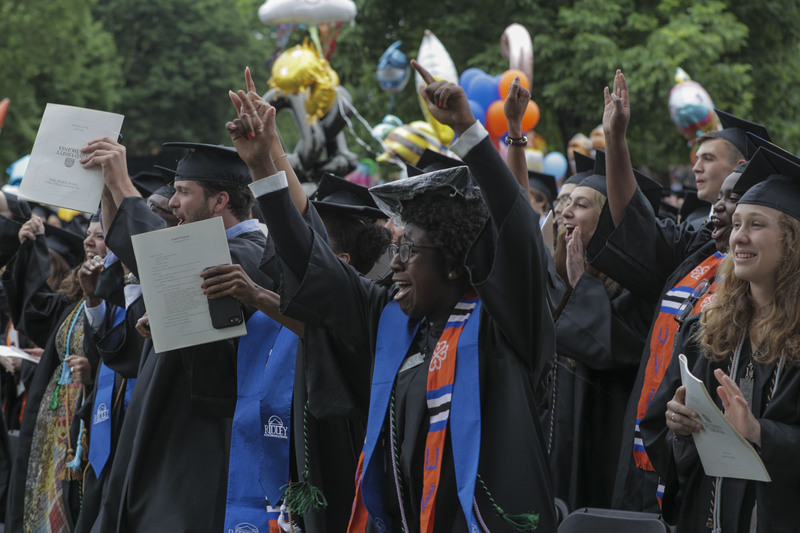 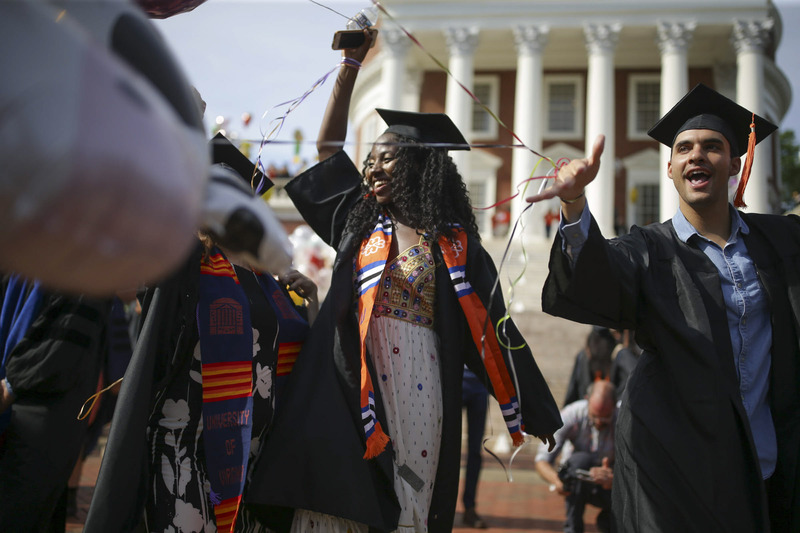 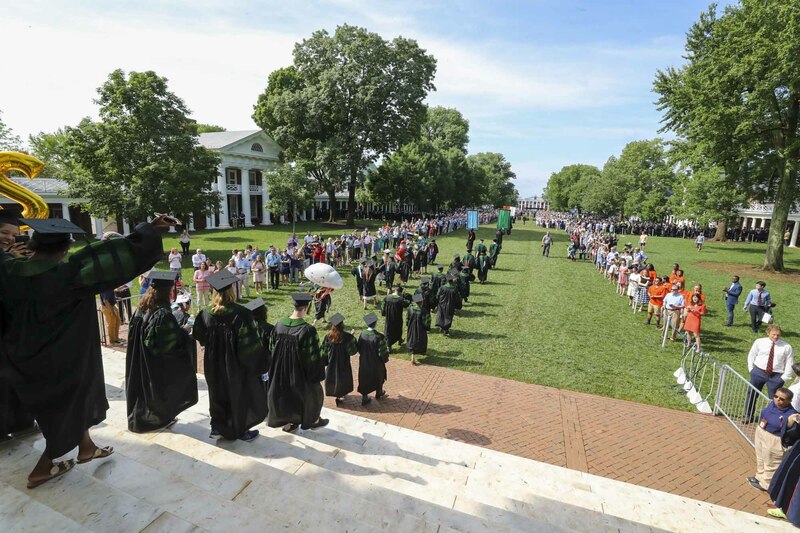 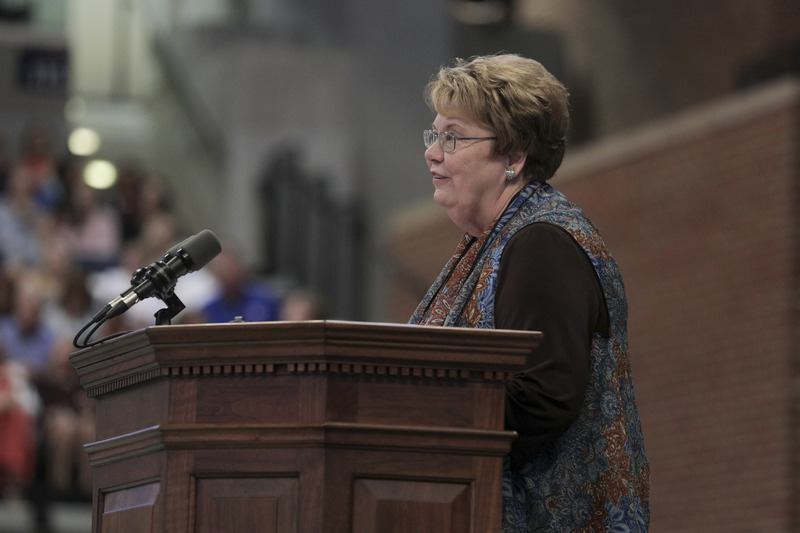 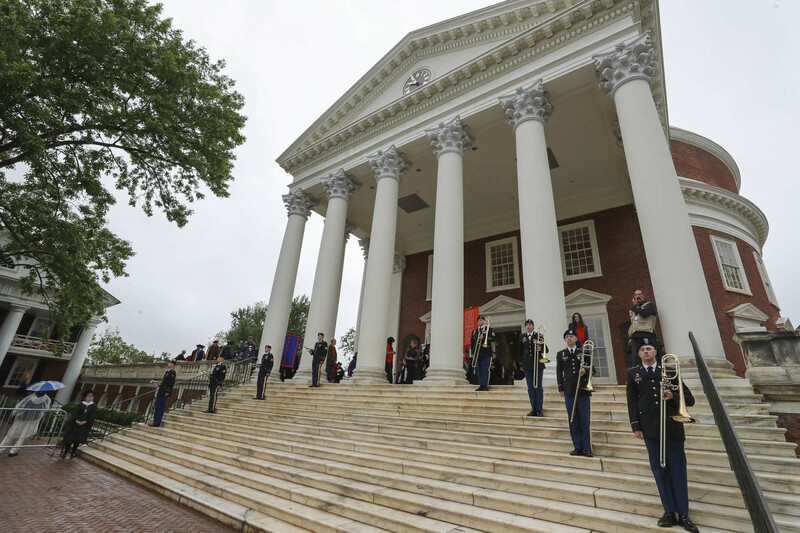 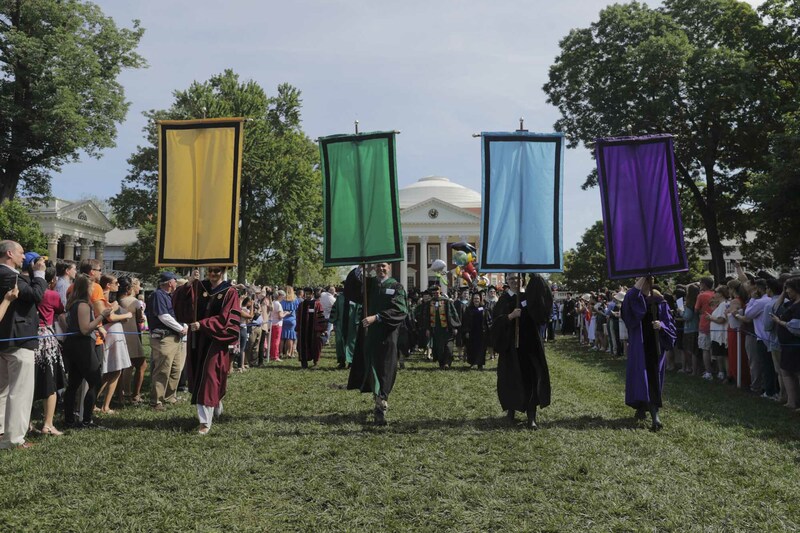 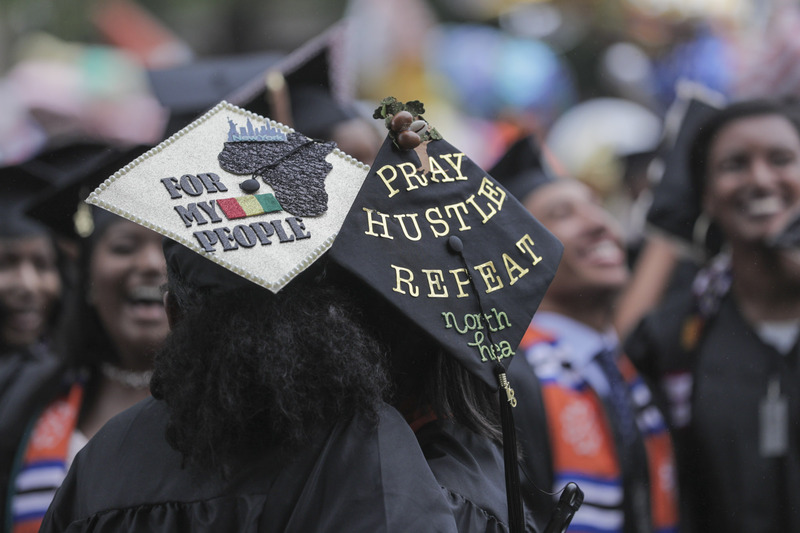 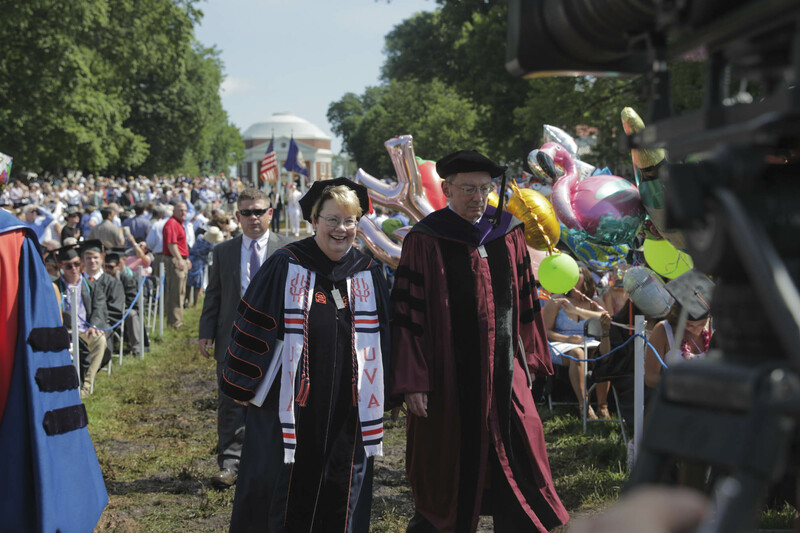 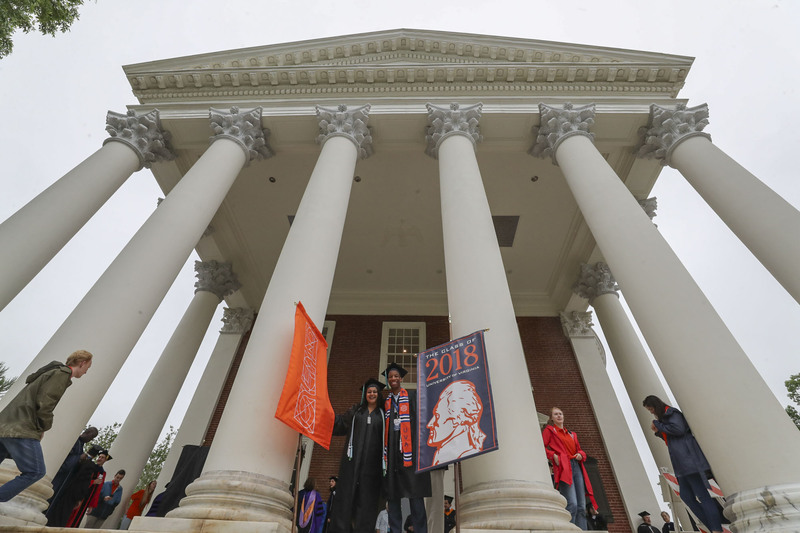 University President Teresa A. Sullivan addressed graduates on both days, as is traditional for a UVA president in the last year of office, and the inclement weather held off enough for graduates to walk the Lawn. 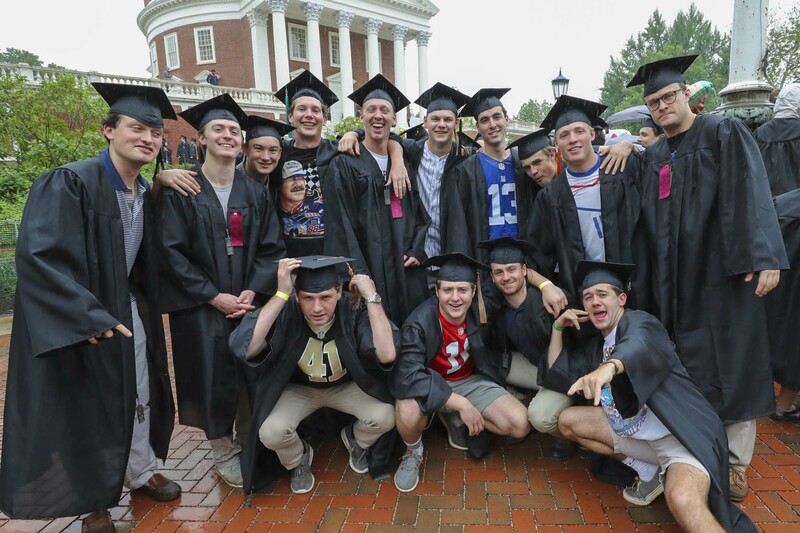 The Class of 2018 has thousands of stories. 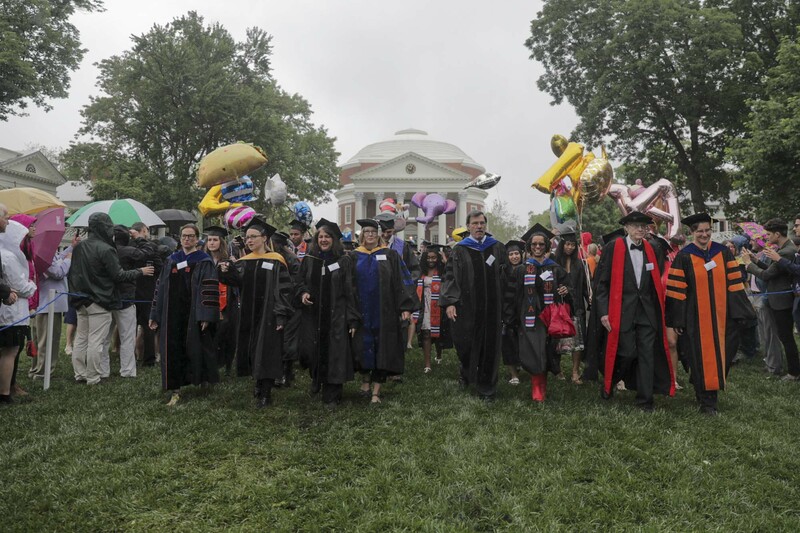 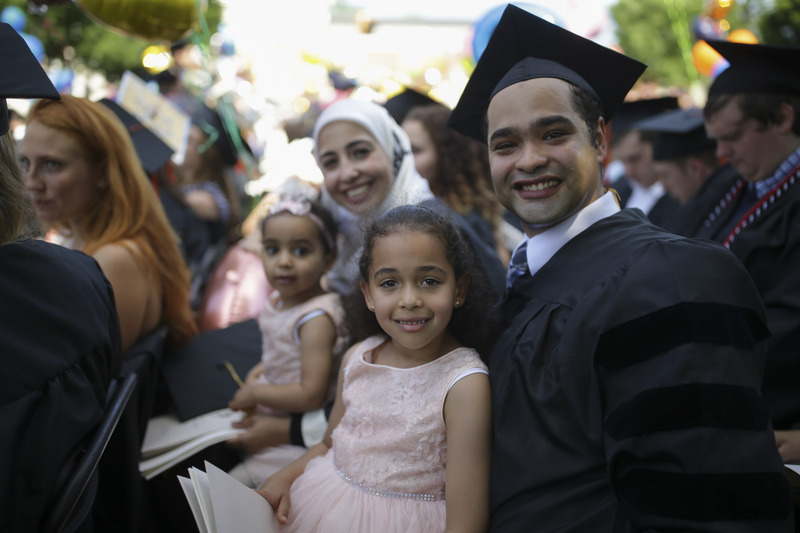 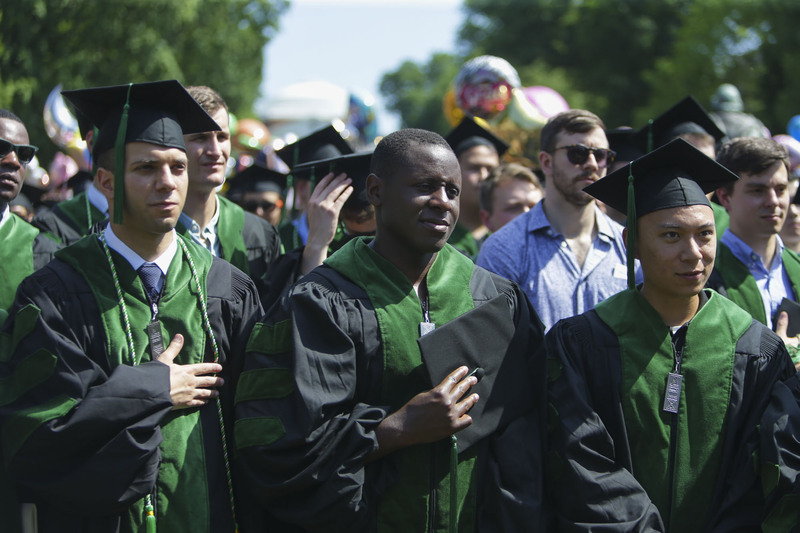 The students who will walk the Lawn during Final Exercises weekend include child prodigies and those who went back to school mid-career; there are artists, lawyers, scientists, pilots and every possible combination. 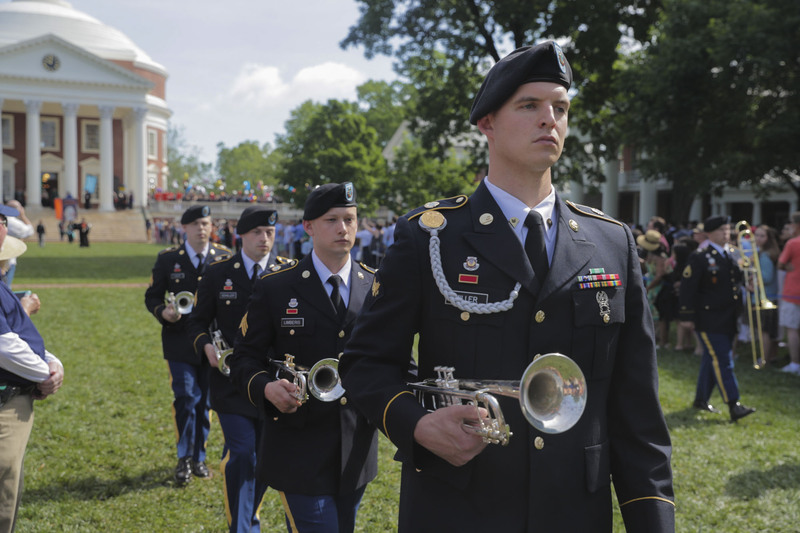 Meet a few of them and learn more about their experiences and futures. 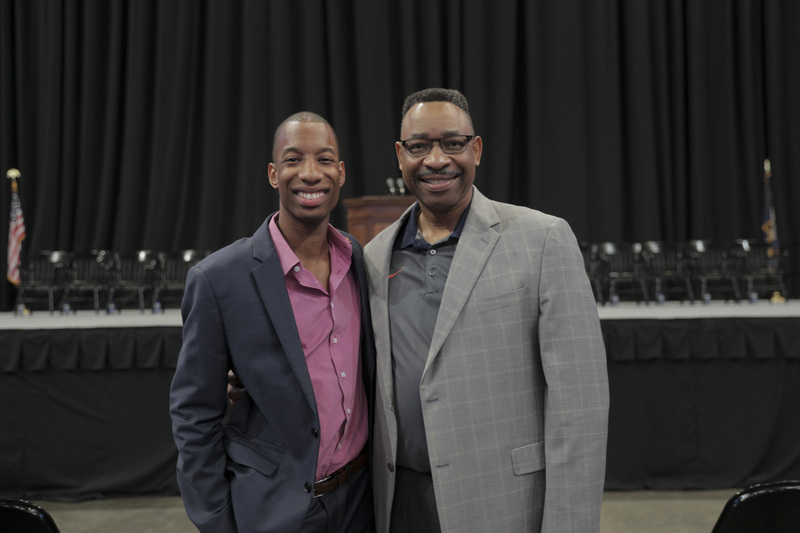 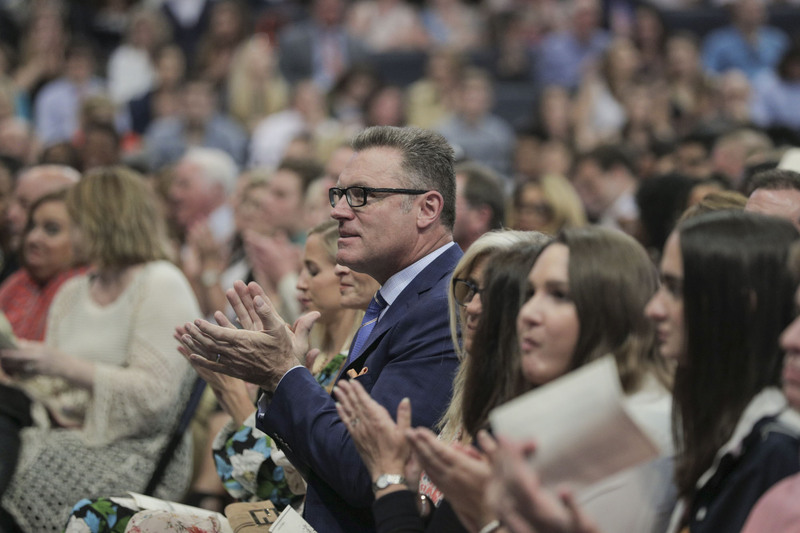 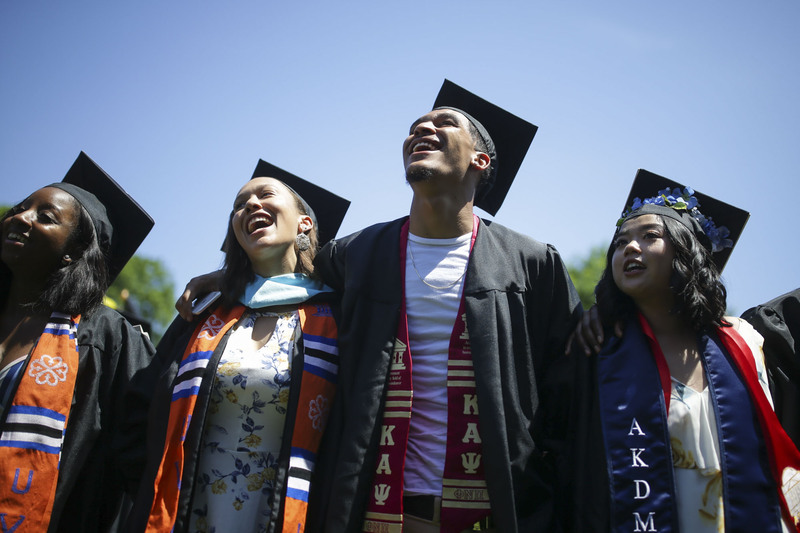 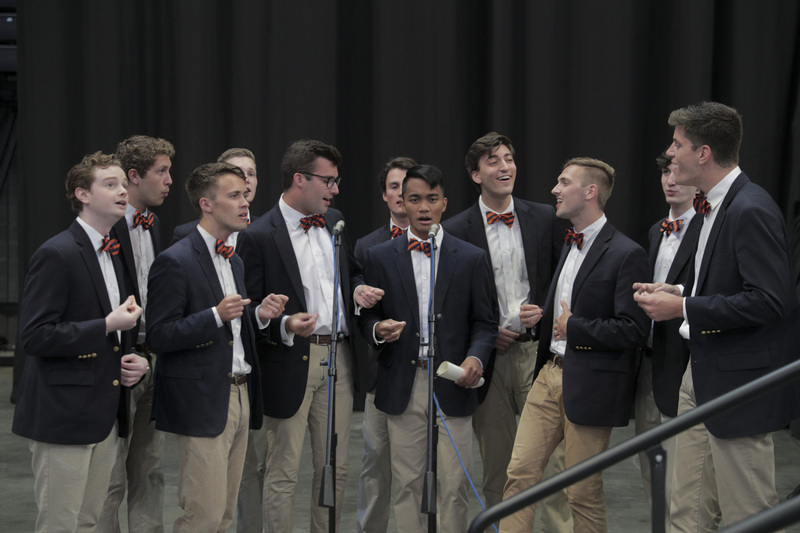 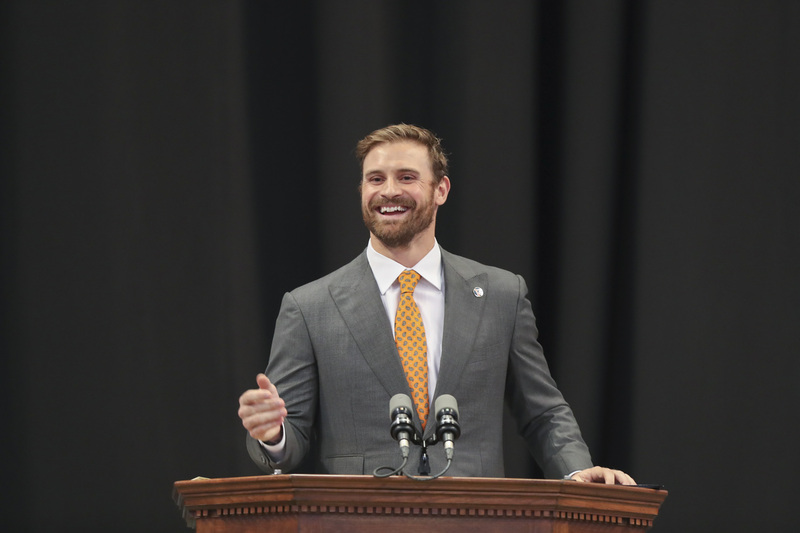 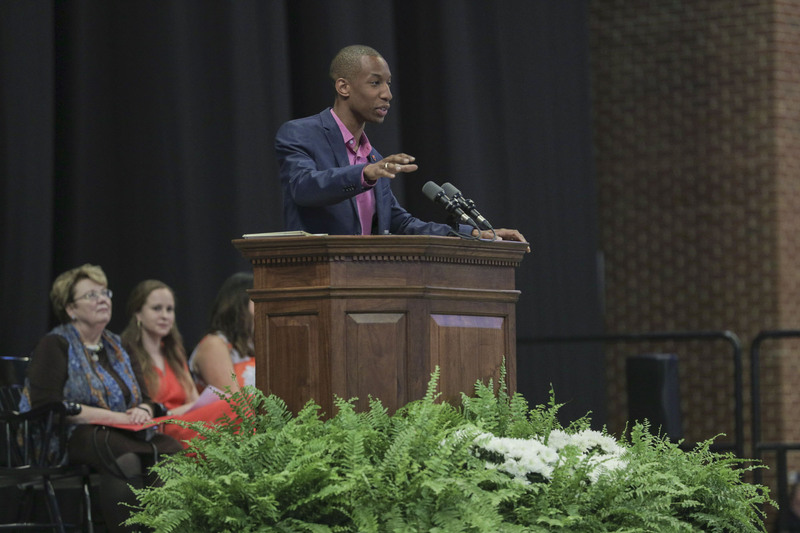 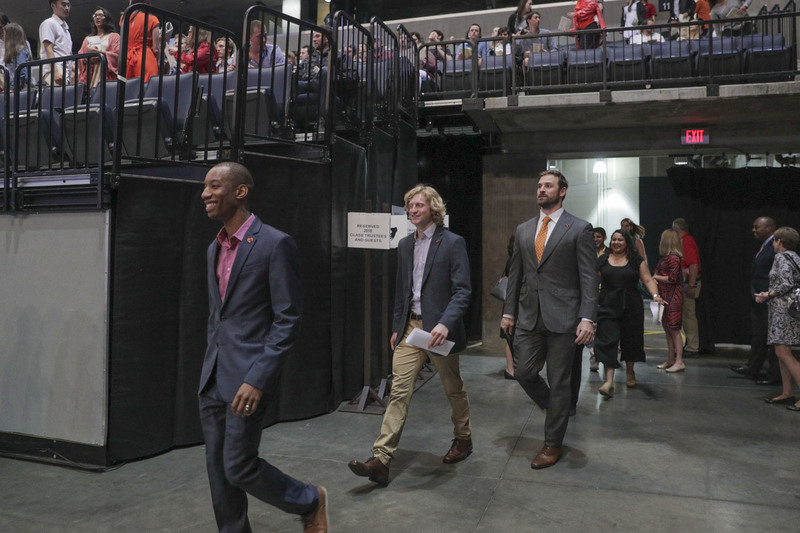 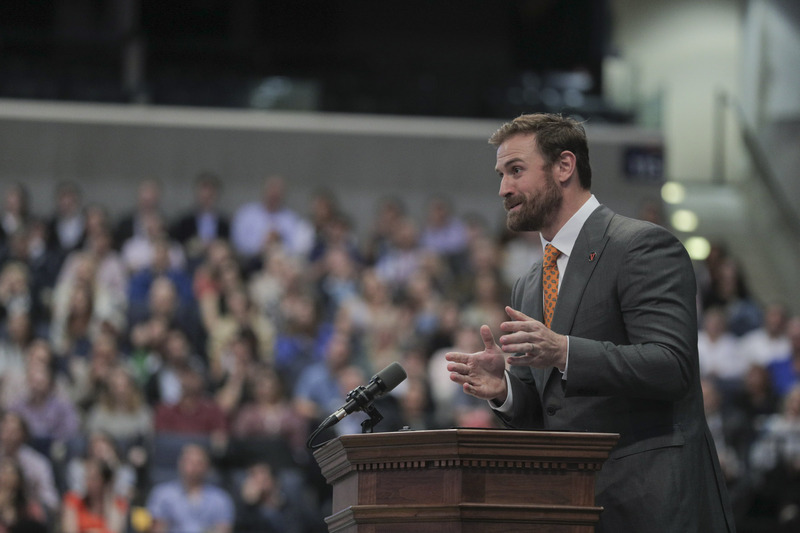 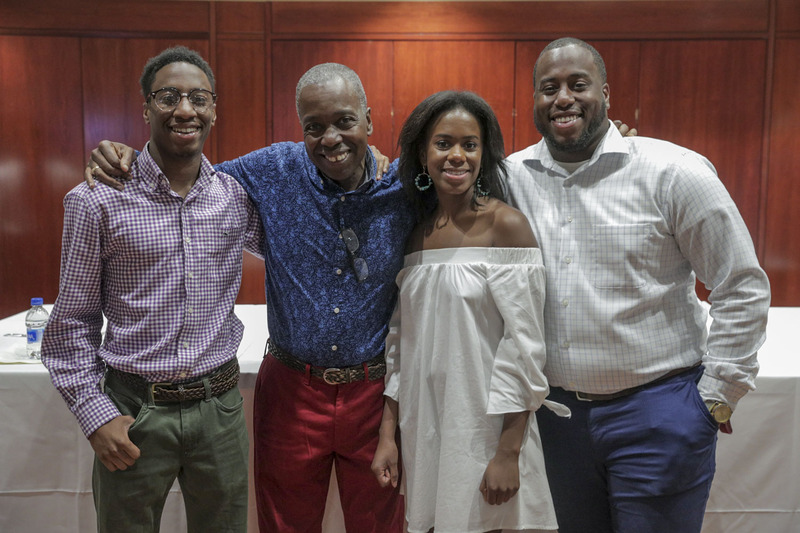 It’s been an eventful year at the University of Virginia with highs, lows and everything in between, as fourth-year class president Malcolm Stewart puts it in the video below. 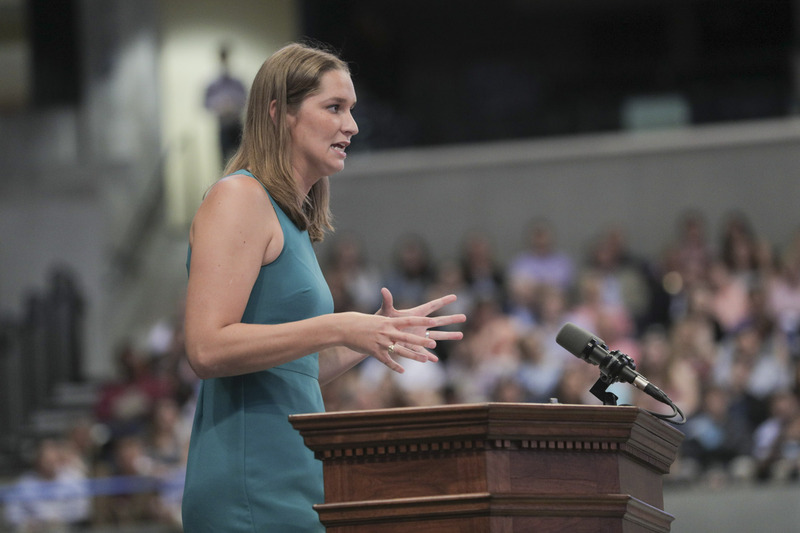 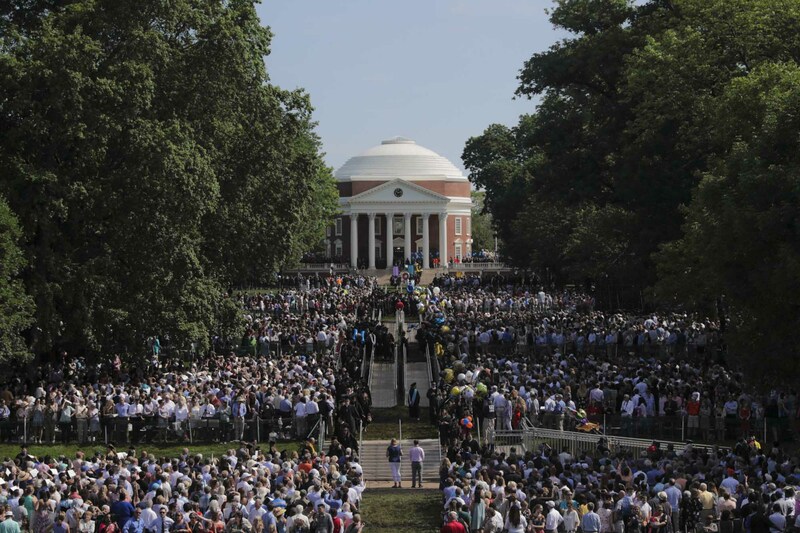 Before the 2017-18 academic year even began, UVA and Charlottesville found itself in the spotlight when national white supremacist groups descended for a weekend of violent demonstrations on Aug. 11 and 12. 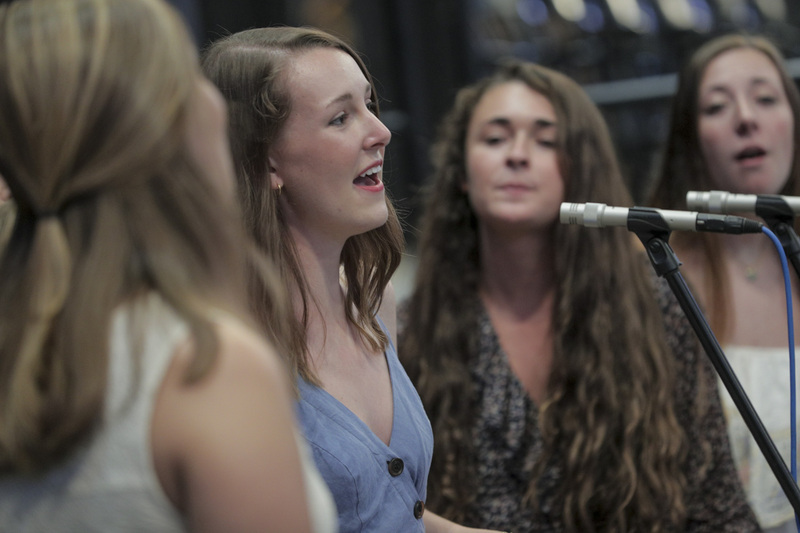 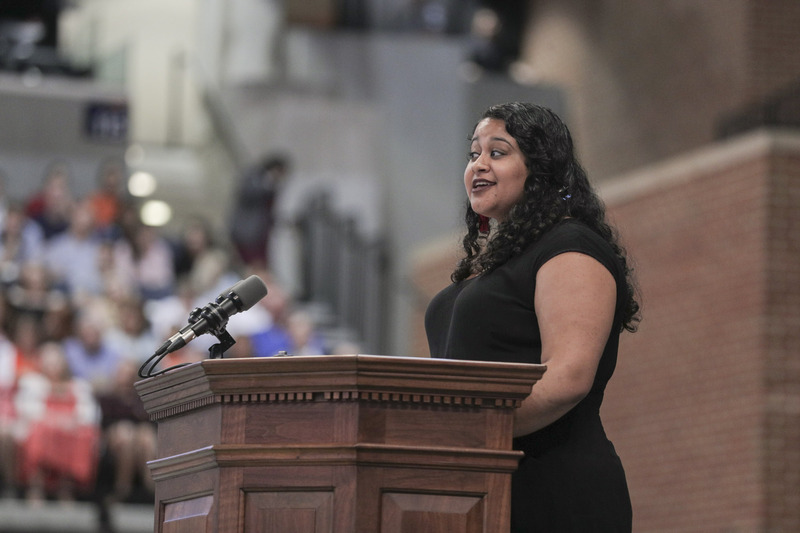 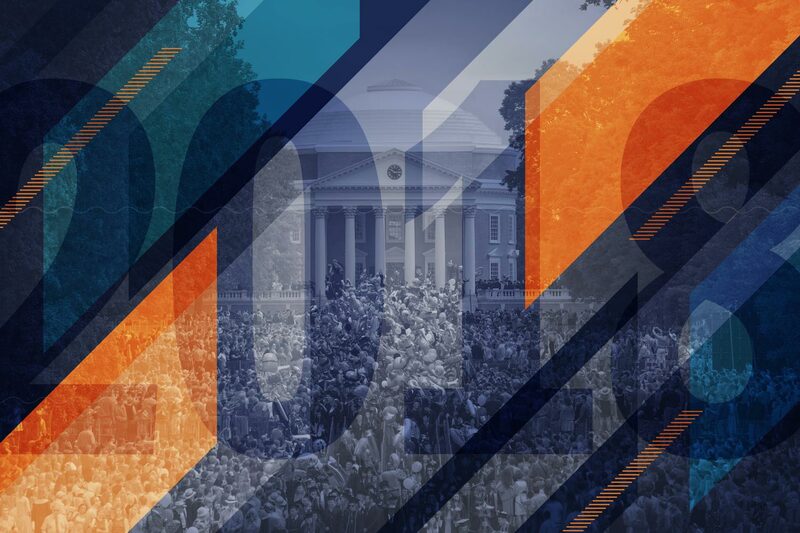 It was a painful and tragic weekend that spurred passionate, challenging discussions and other activities throughout the year as students, faculty and others in the UVA and Charlottesville communities rallied in support of tolerance and diversity. 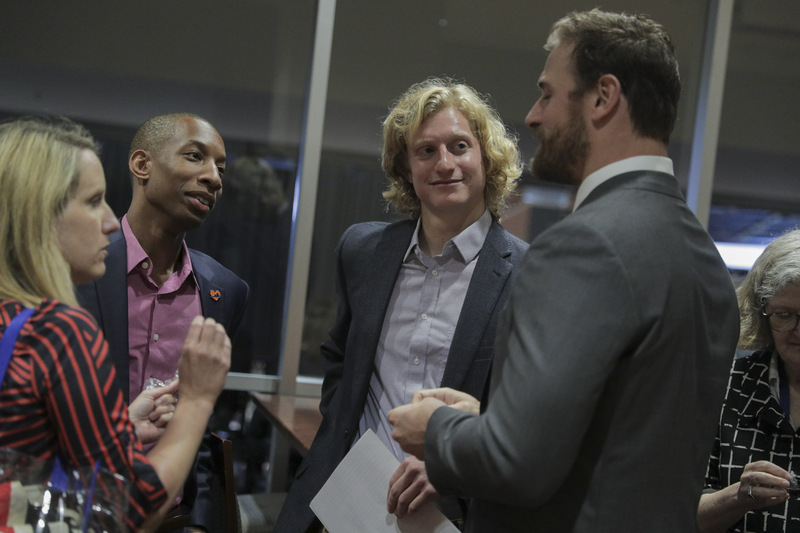 Alongside those tough discussions were more celebratory moments. 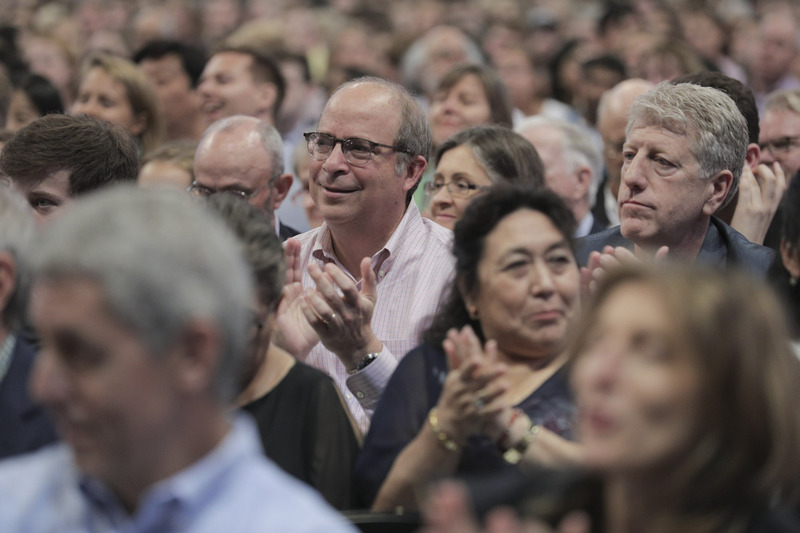 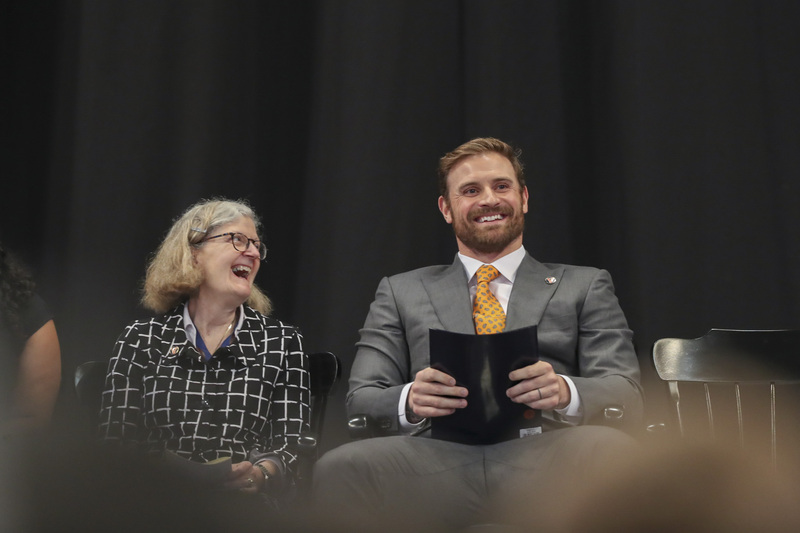 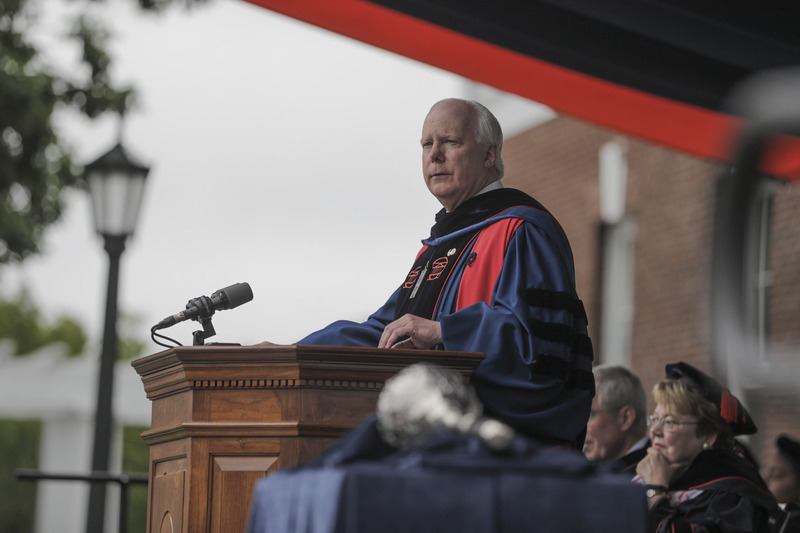 The University welcomed alumnus and former School of Law professor James E. Ryan as its president-elect in September; and a short month later welcomed its third century with a huge bicentennial celebration on the Lawn. 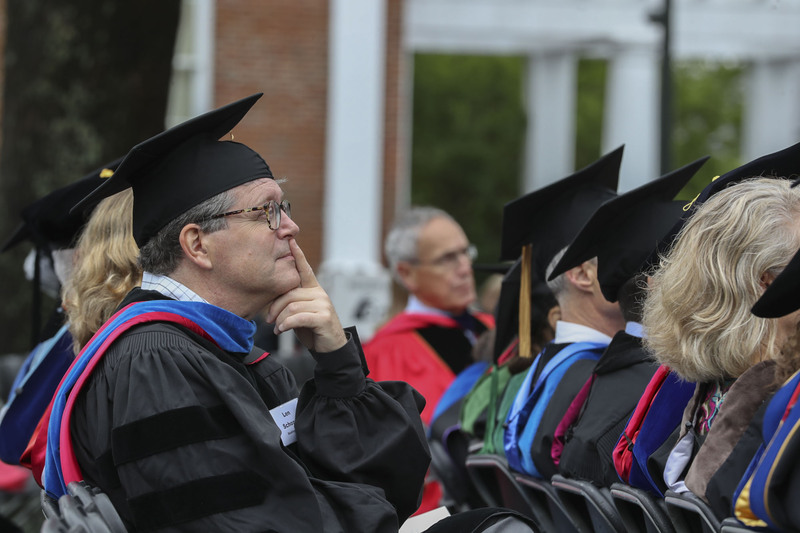 Faculty members made huge strides in research on everything from diabetes to self-driving cars. 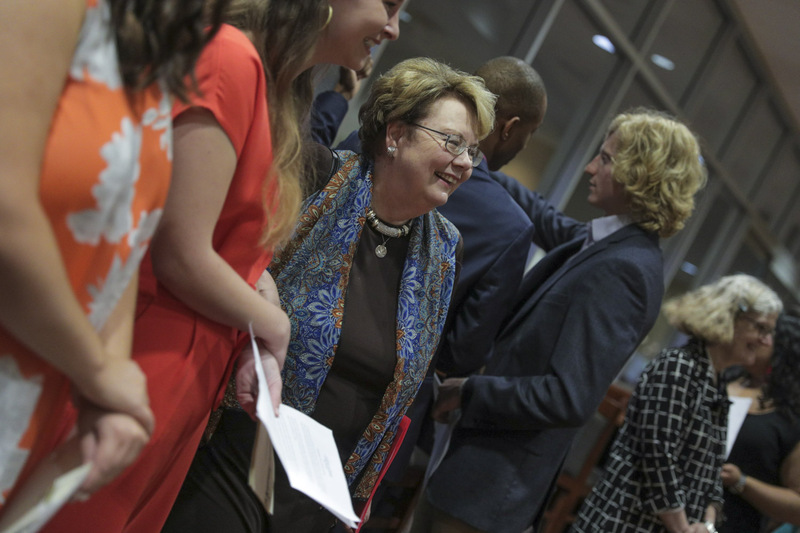 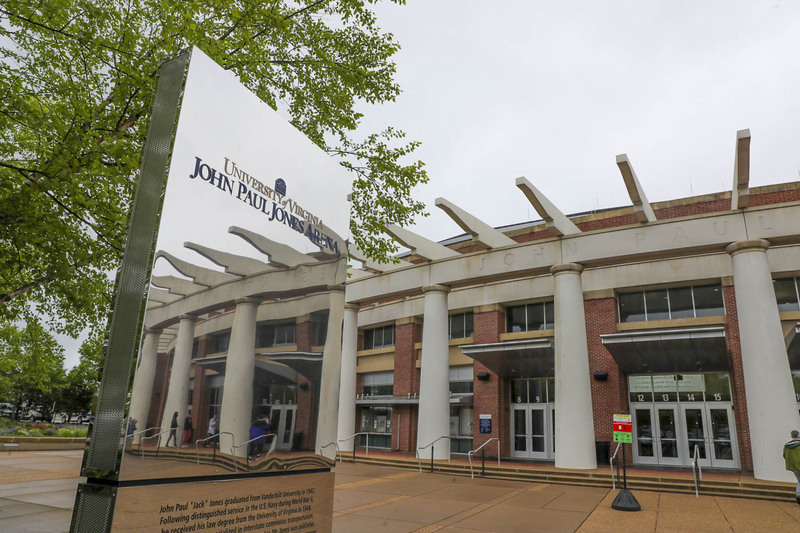 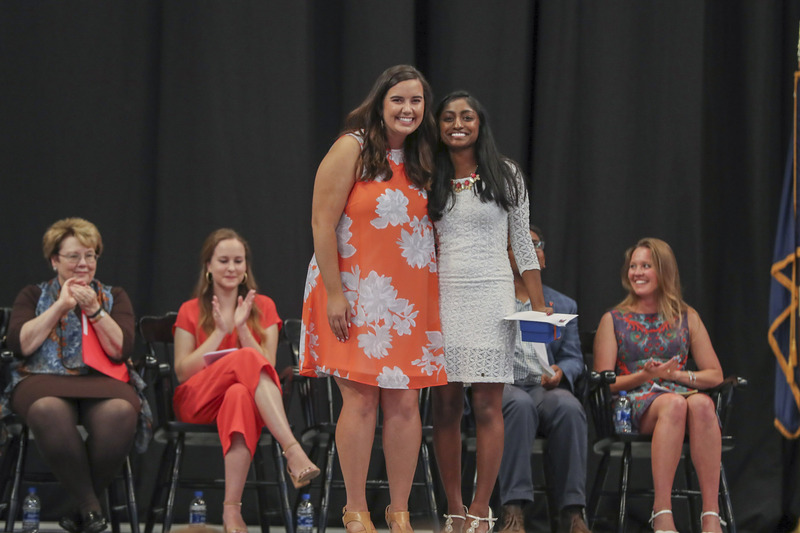 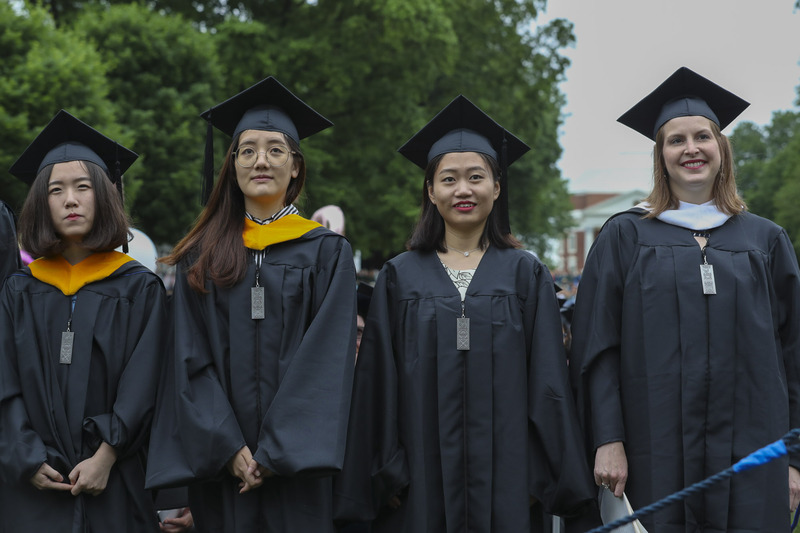 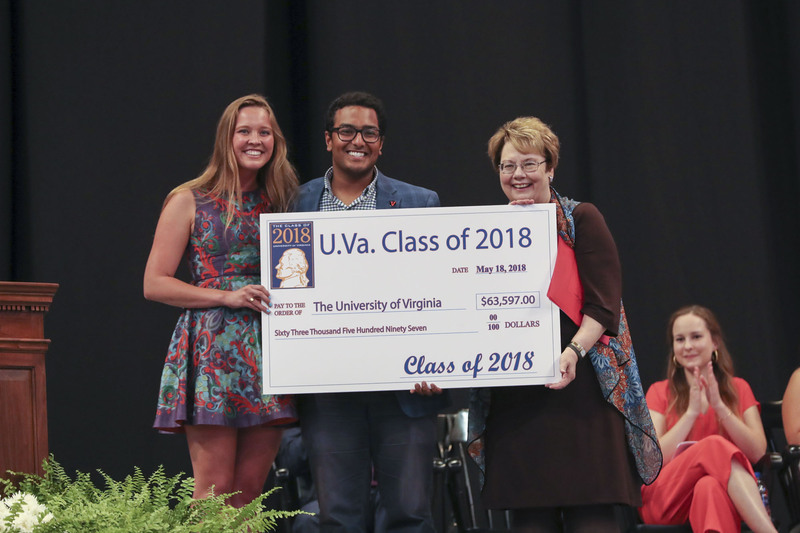 At least 12 students and alumni won Fulbright Scholarships, putting UVA among the top institutions in the country for that award. 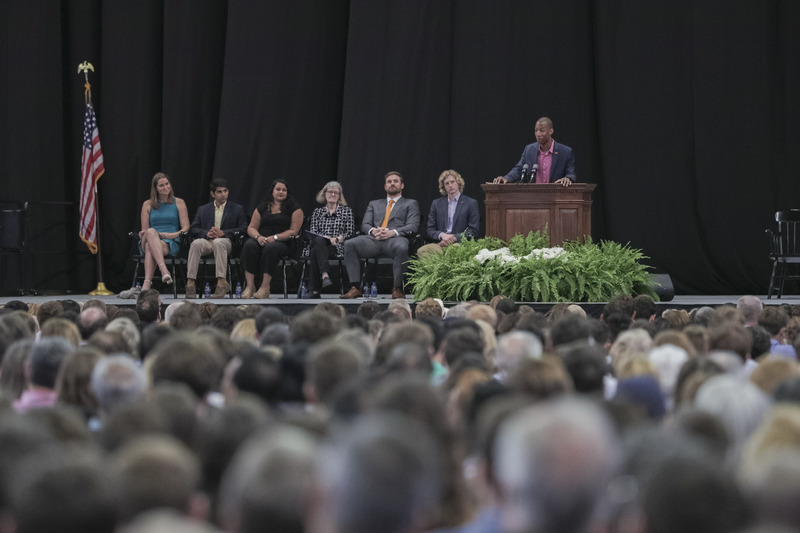 And UVA’s student-athletes continued to impress on and off the playing field, all while welcoming another new addition: Director of Athletics Carla Williams, who became the first female African-American athletic director at a Power Five conference school when she joined UVA this year. 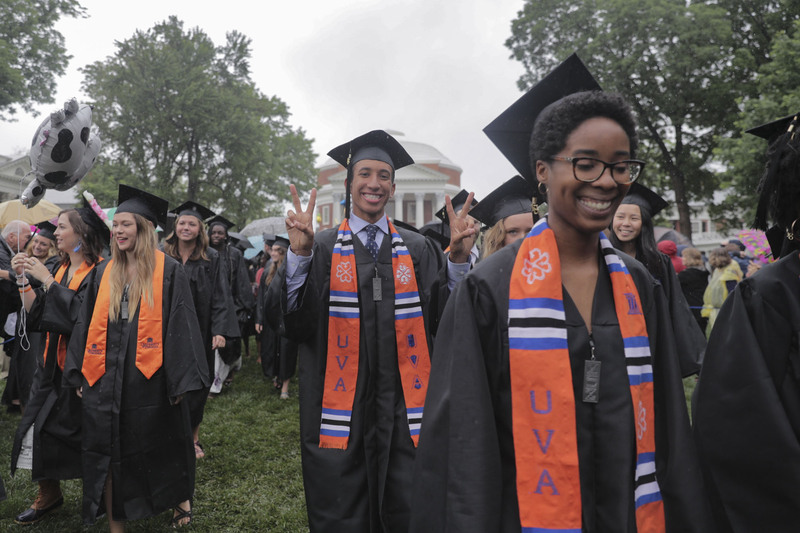 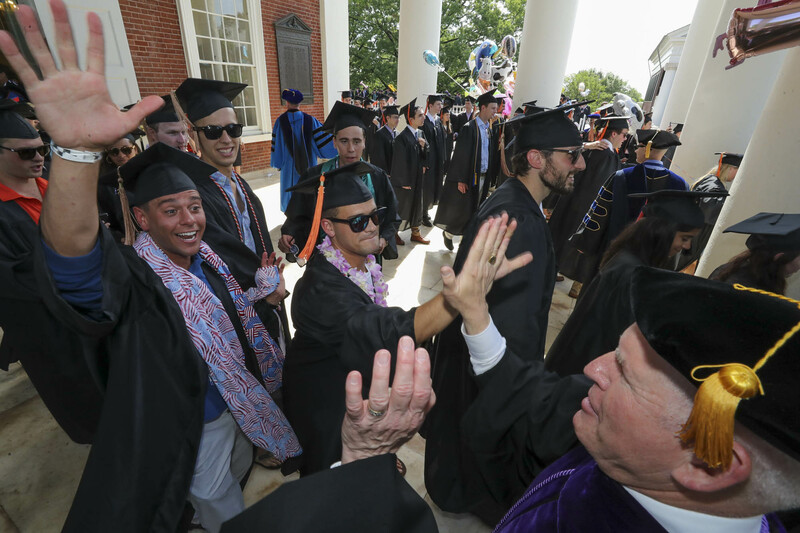 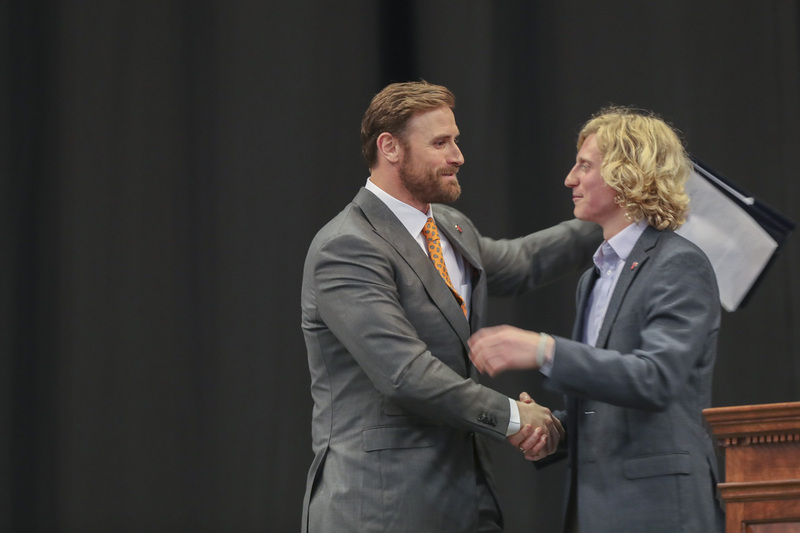 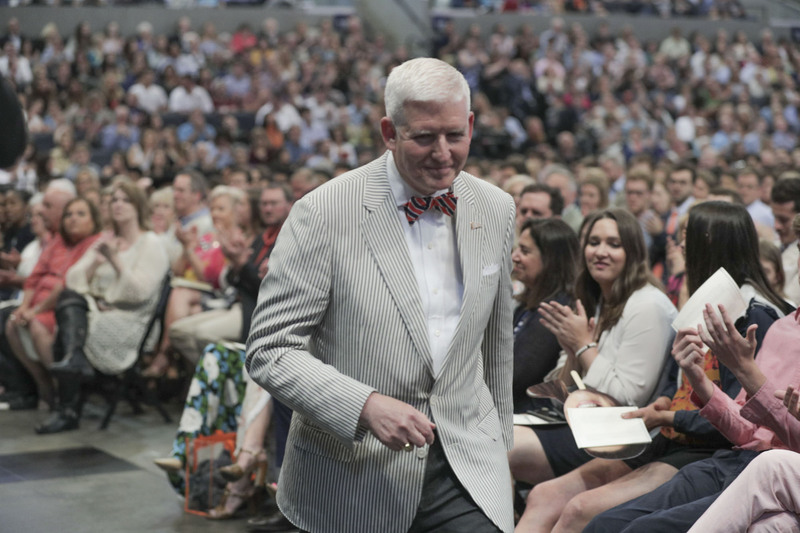 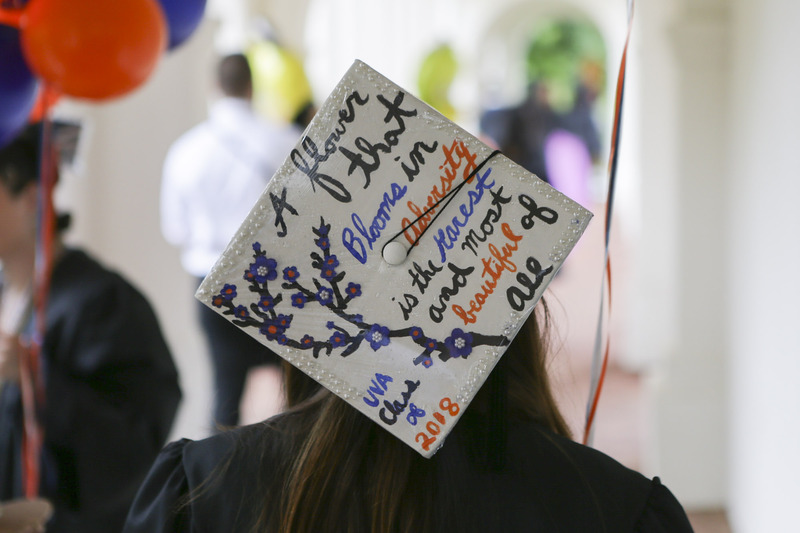 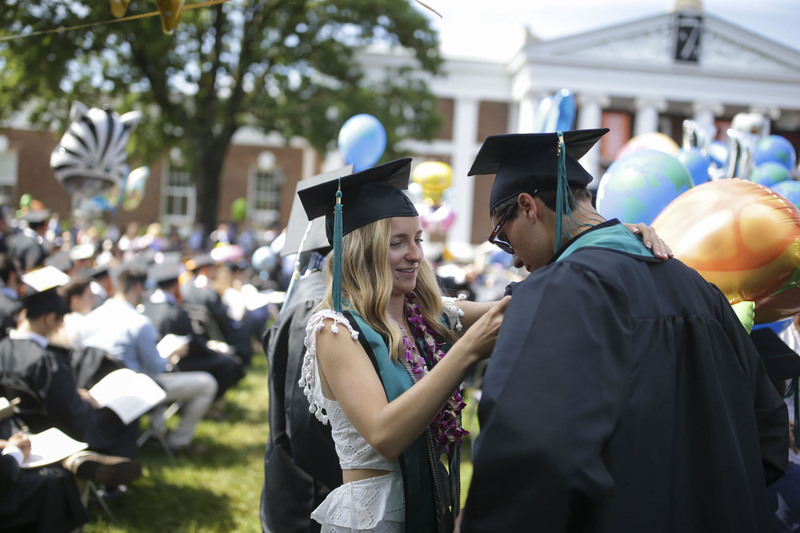 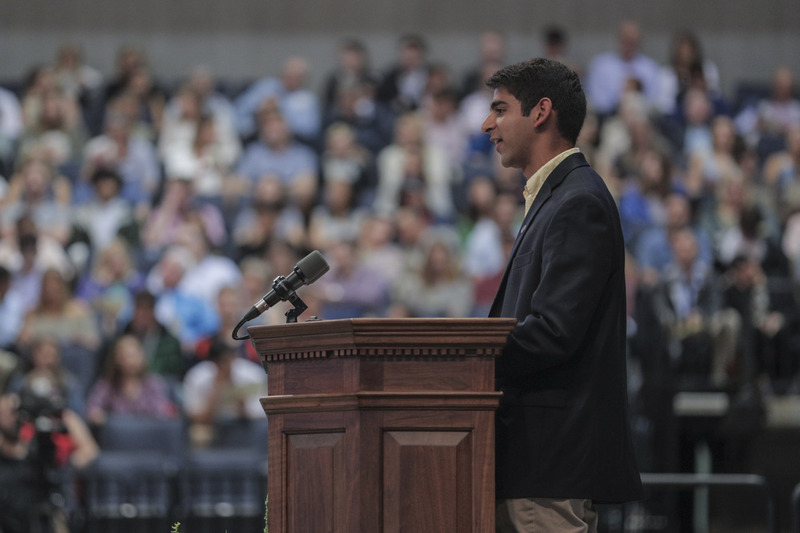 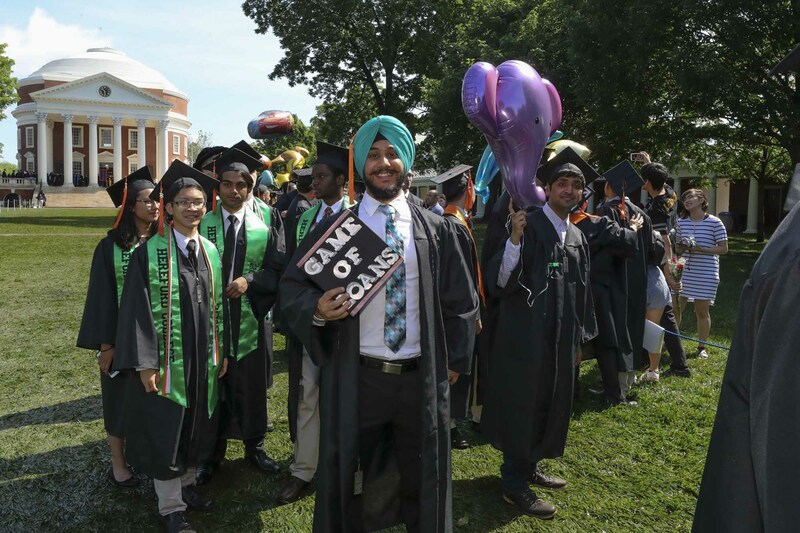 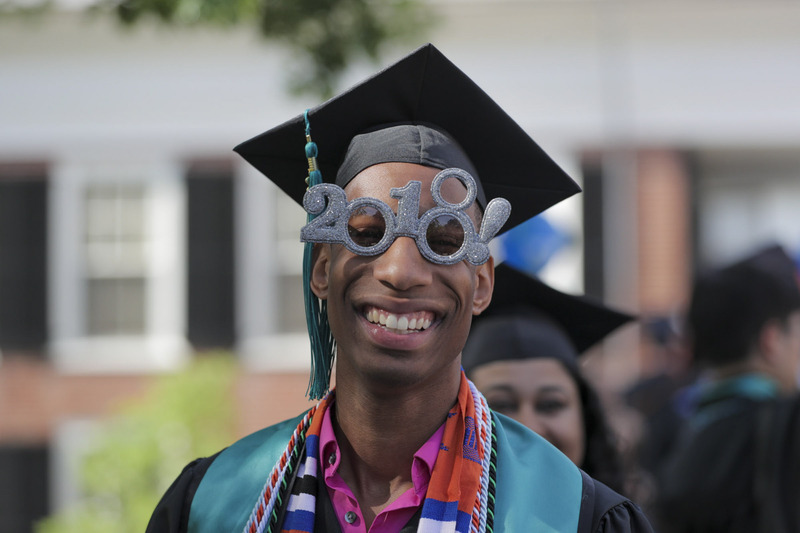 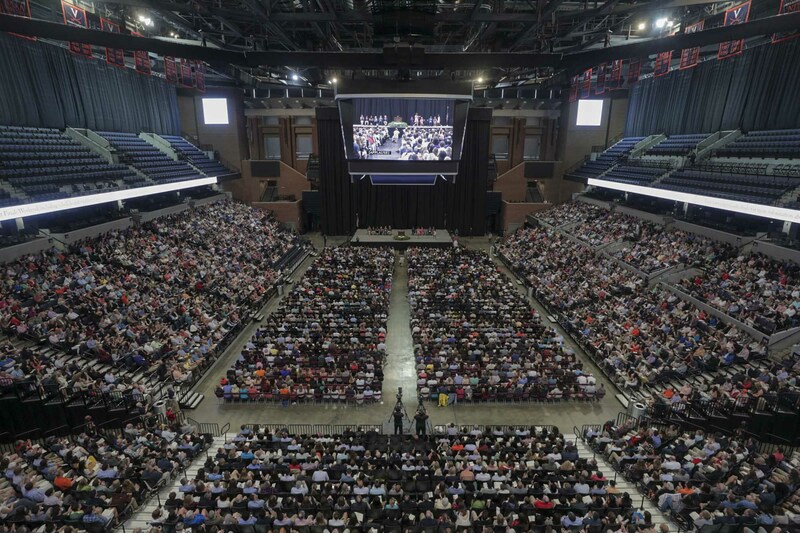 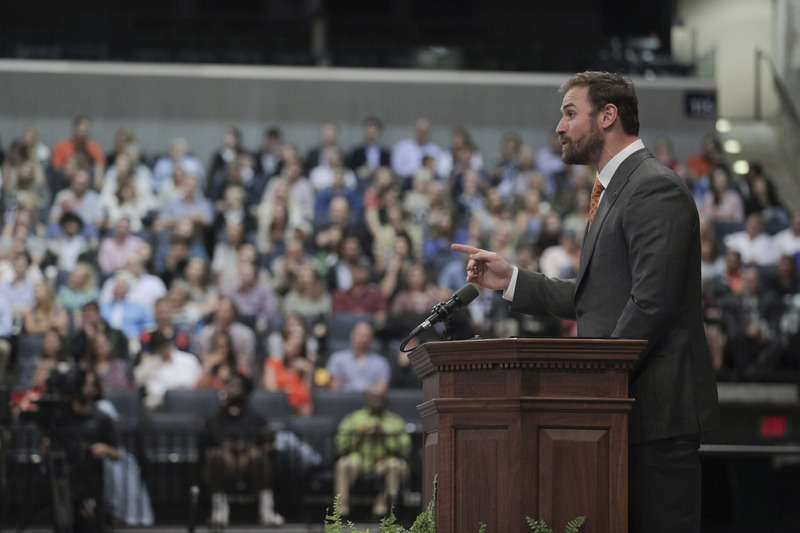 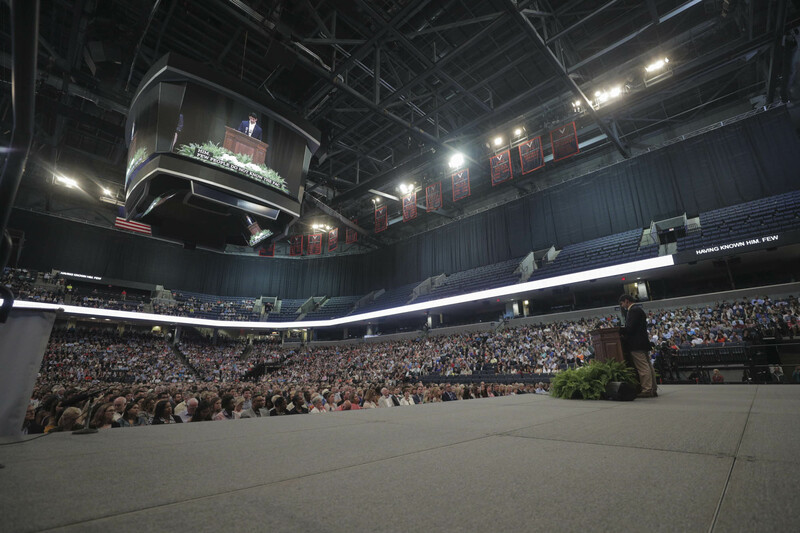 Take a look back at these moments and many others as Stewart reviews the year – his last as an undergraduate at UVA – in the video.